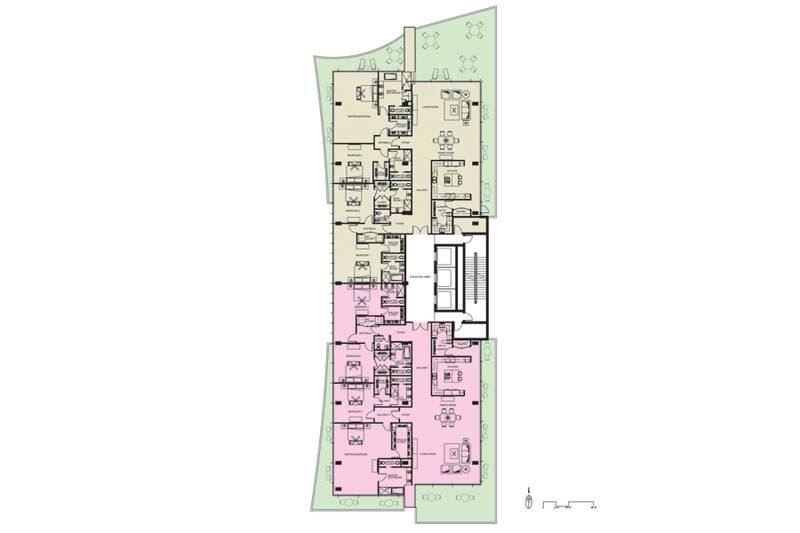 The Averill House is a 2,237 s.f. 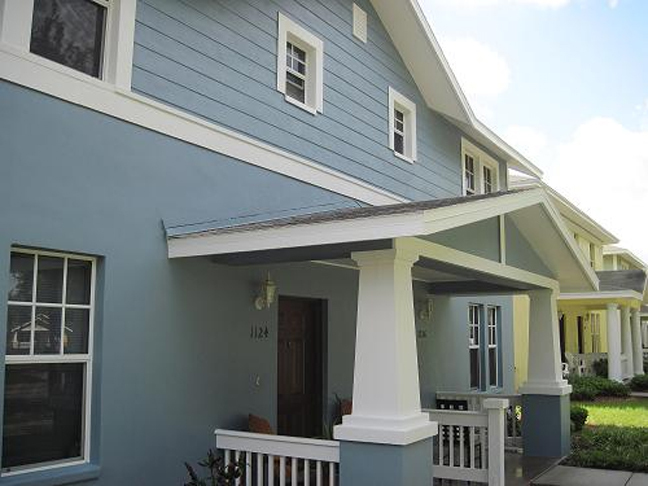 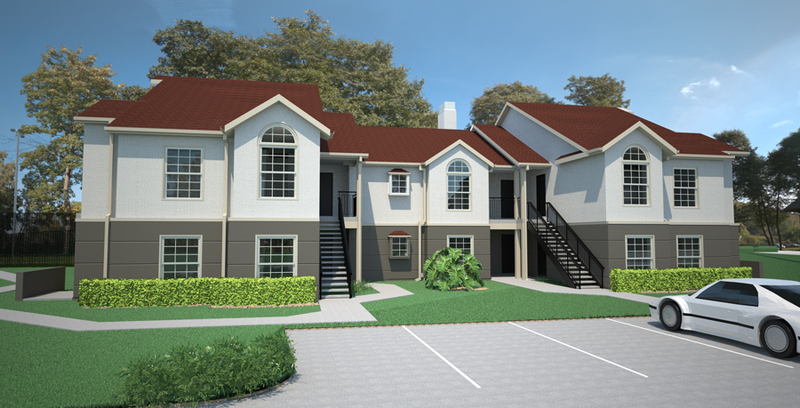 2-story house with 3 bedrooms, 2 ½ bathrooms, study and a 2-car garage. 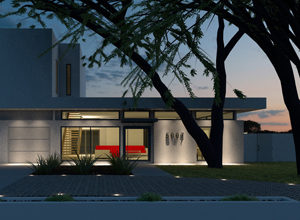 Its design is transitional architecture with its playful composition of a roof pitch that gives it a dramatic contemporary look on the front façade. 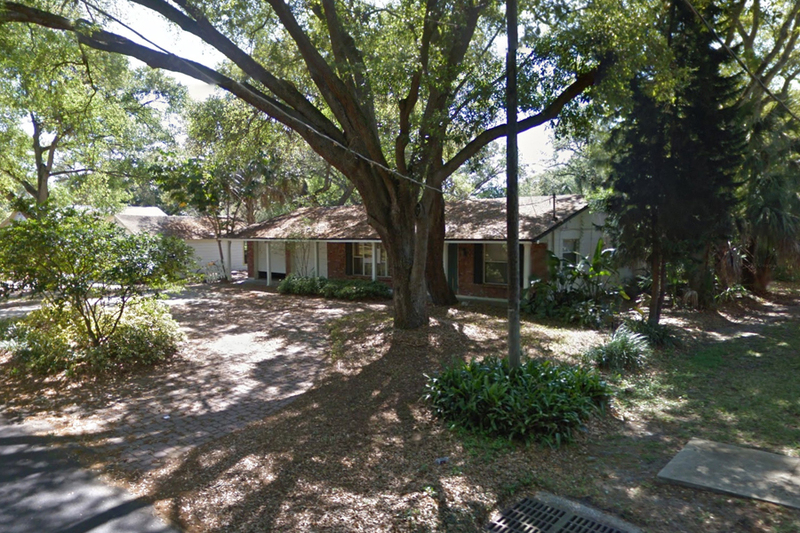 The Lakewood Estate House is a 2,600 s.f. 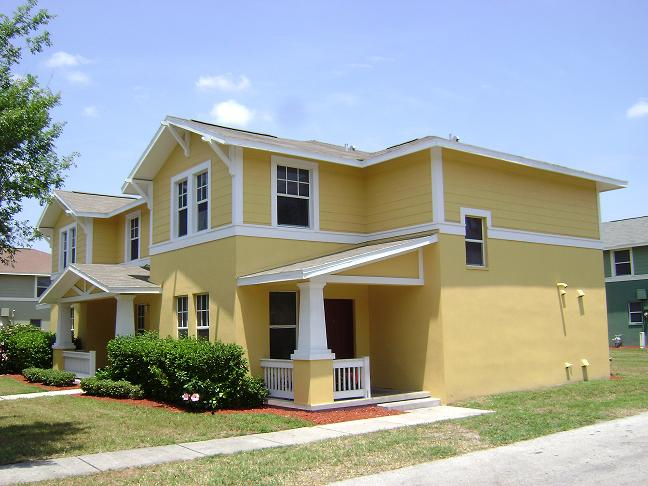 2-story house with 3 bedrooms, 2 ½ bathrooms, and a 2-car garage. 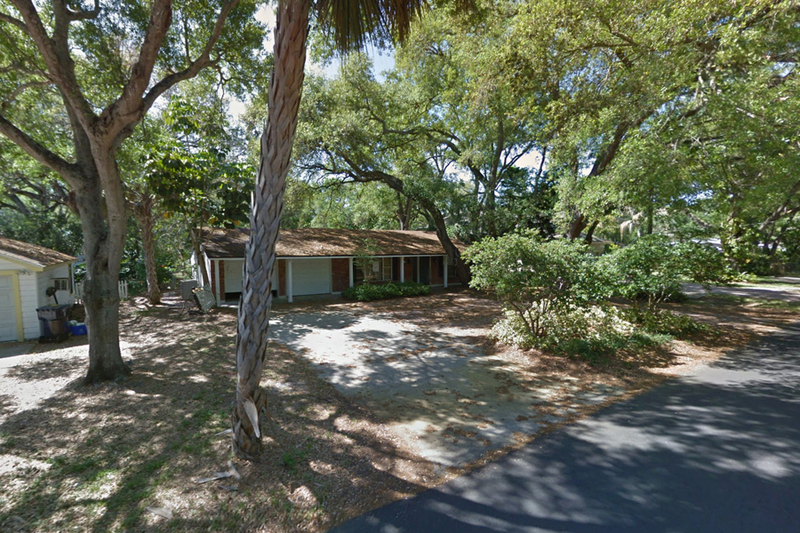 The lot is deep, making it possible to put the garage in the back, thus making the house fully occupy the front of the property without the garage. 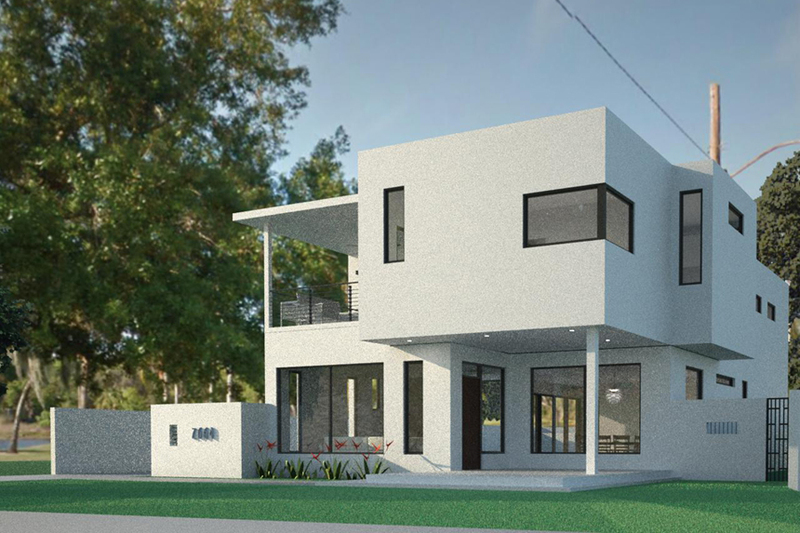 The design of the house is based on a playful yet simple push-pull and solid-void composition, giving the house a powerful modern presence on the street. 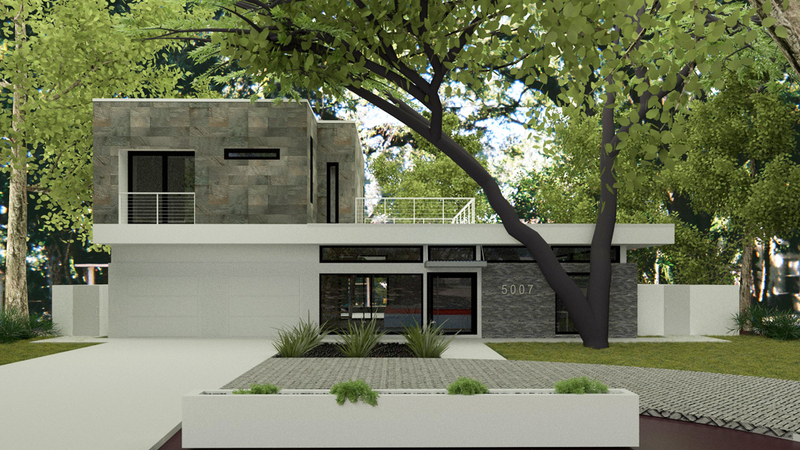 Common to several houses we design, the entrance is recessed, providing a modern interpretation of the front porch. 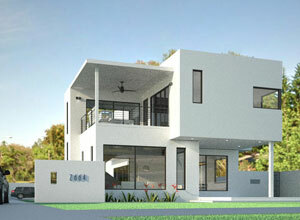 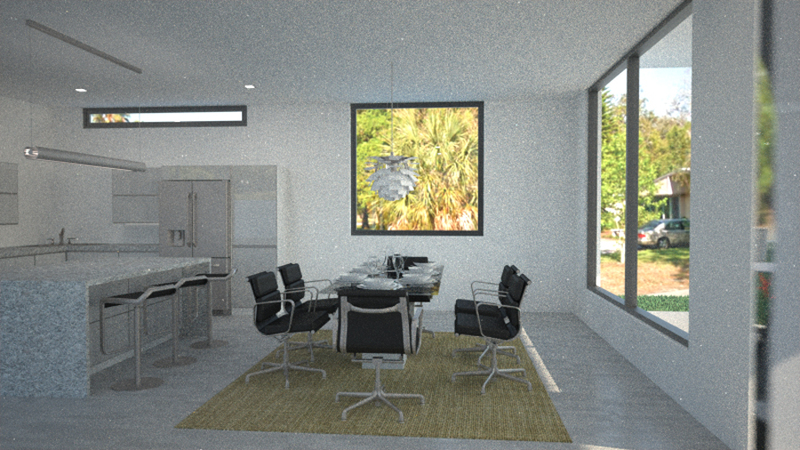 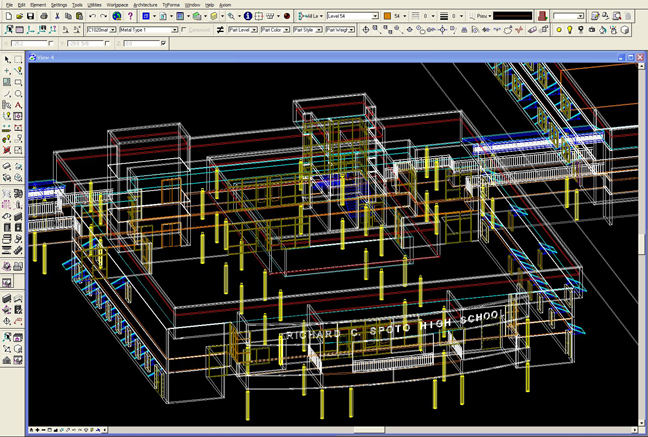 This project is a 3,100 sq. 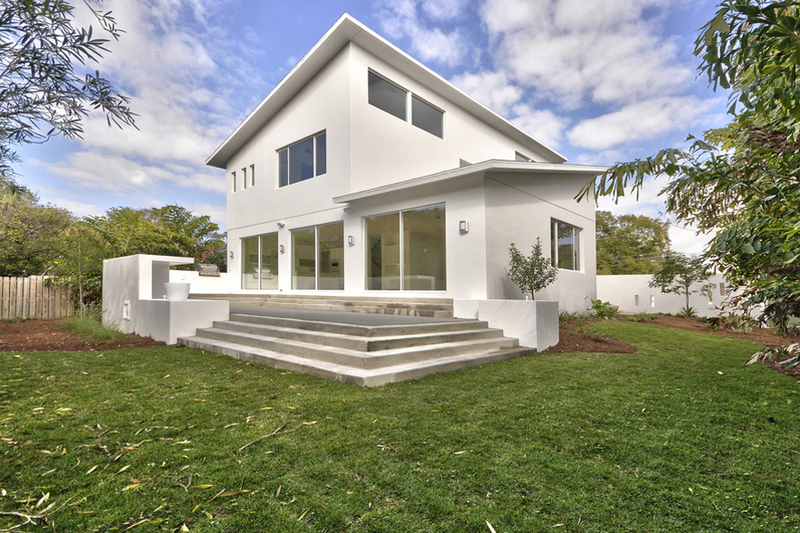 ft. renovation and addition of an existing 1950's home. 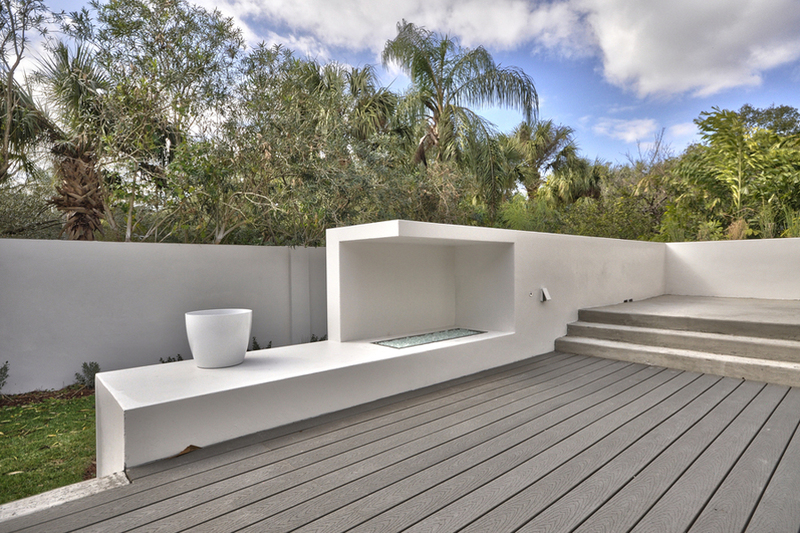 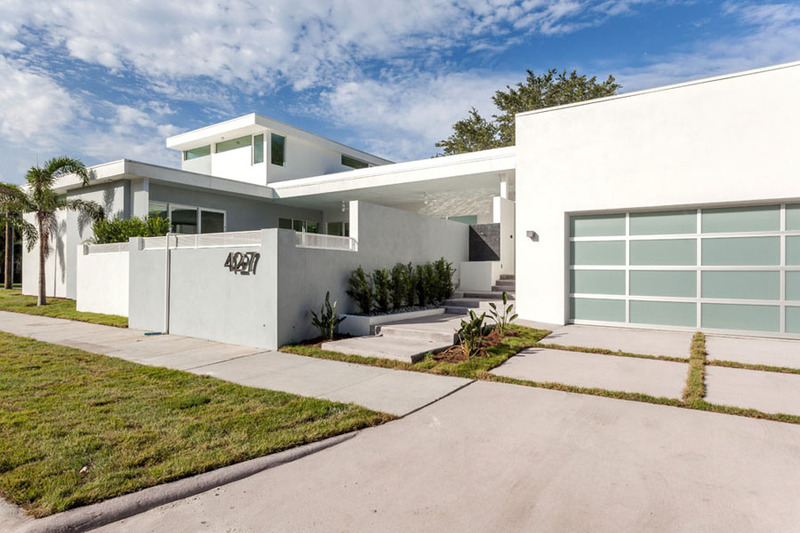 The project was an opportunity to transform the old ranch style house into a modern home with a master suite and roof top deck. 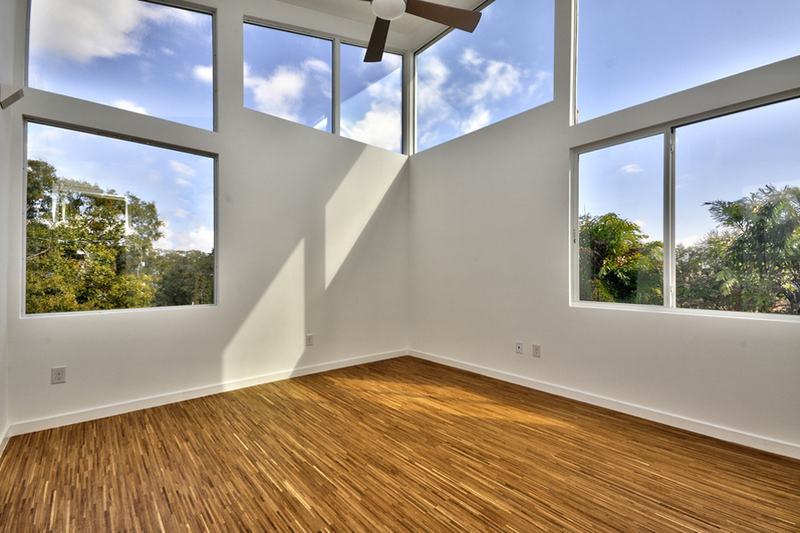 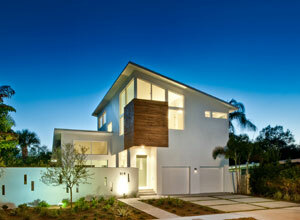 It also features an open space plan with 3 bedrooms, 3 bathrooms and a swimming pool. 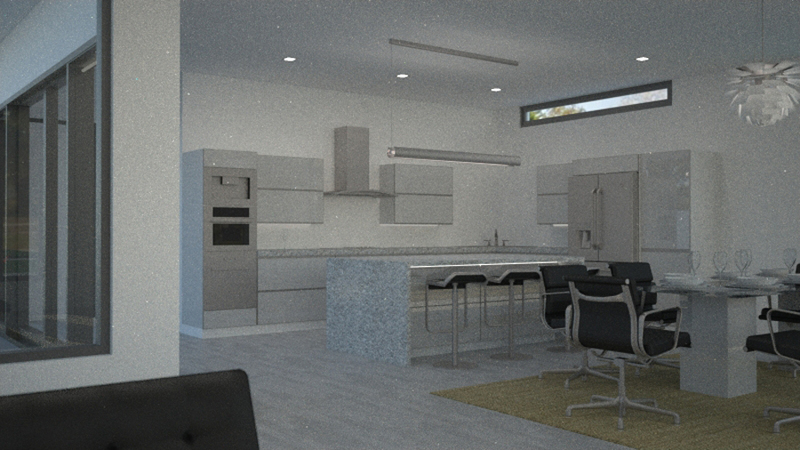 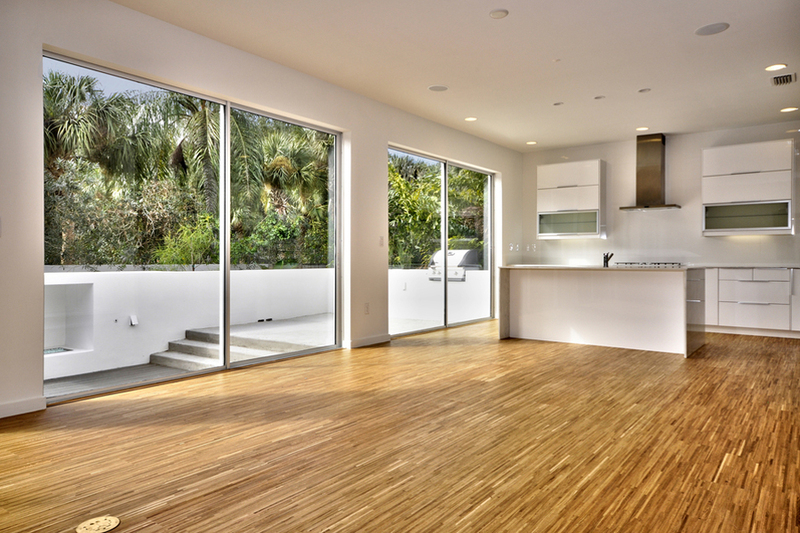 The interior design follows the modern architectural style with a new Italian kitchen, sleek German plumbing fixtures and exquisite lighting. 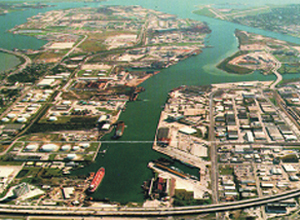 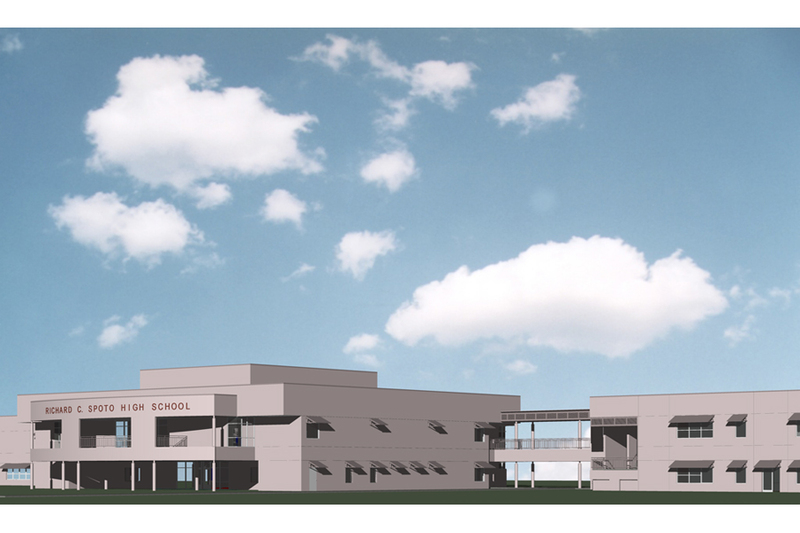 This project is scheduled to be completed in Winter 2015. 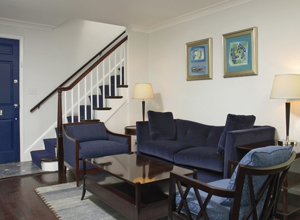 The Longfellow is a 4,000 s.f. 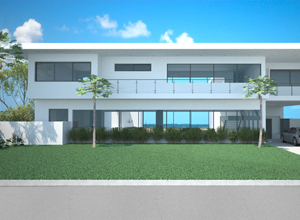 2-story upscale spec house with 4 bedrooms, 5 bathrooms, 2- ½ bathrooms, home theater, and a 2-car garage with a motor court. 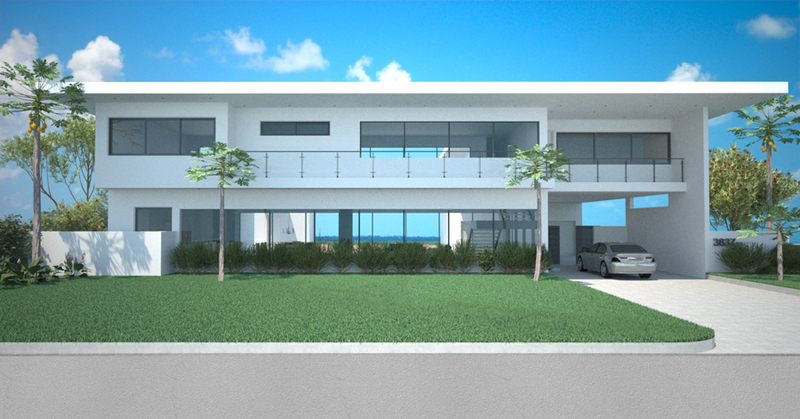 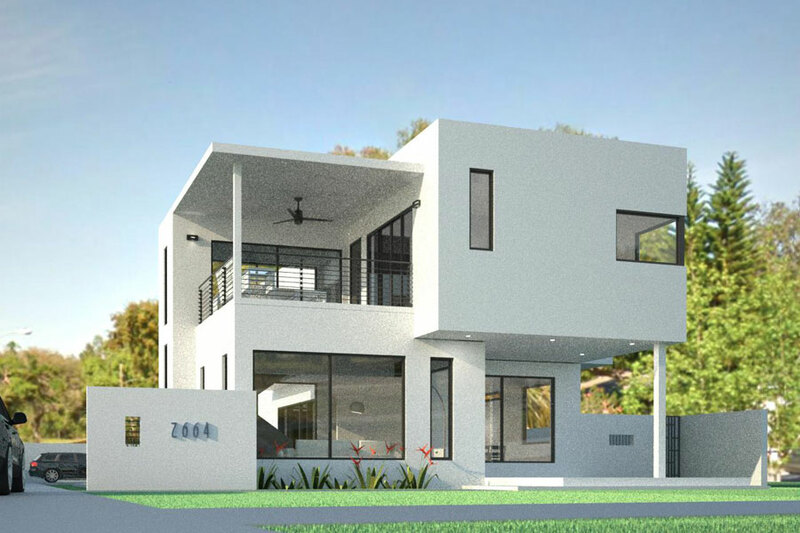 The wide frontage of the lot and the prominent flat roof of the new house form the top and bottom planes that define the horizontal form of the house that is only broken by the central vertical stair tower that serves to orient people to the front entrance. 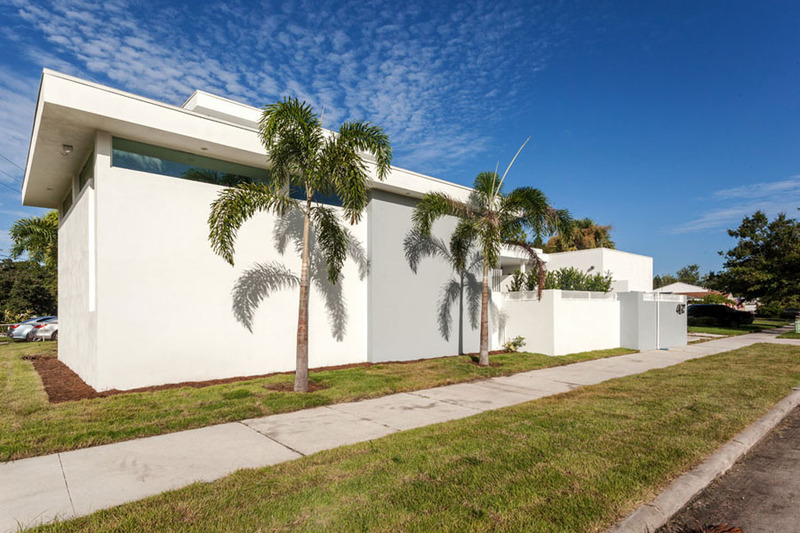 The modern design of the house created an articulated façade that anchors three volumetric forms that give the house its dynamic organization and layering. 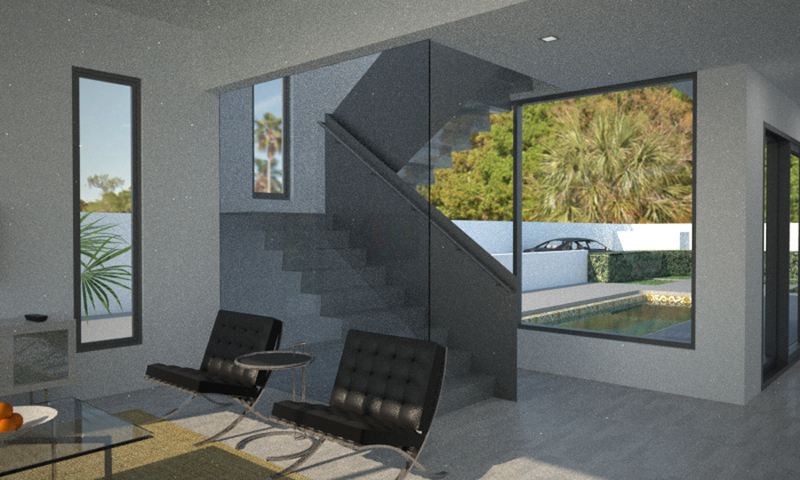 The garage is hidden behind the privacy wall and provided with a motor court for maneuvering in and out. 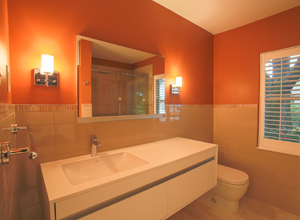 The client for this guest bathroom remodel is an engineer who teaches mechanical engineering. 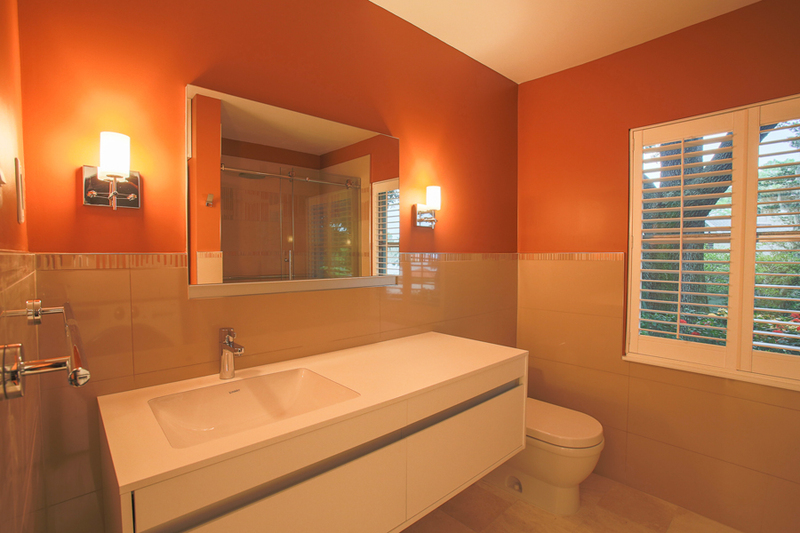 Therefore, we designed this bathroom with the client’s background in mind. 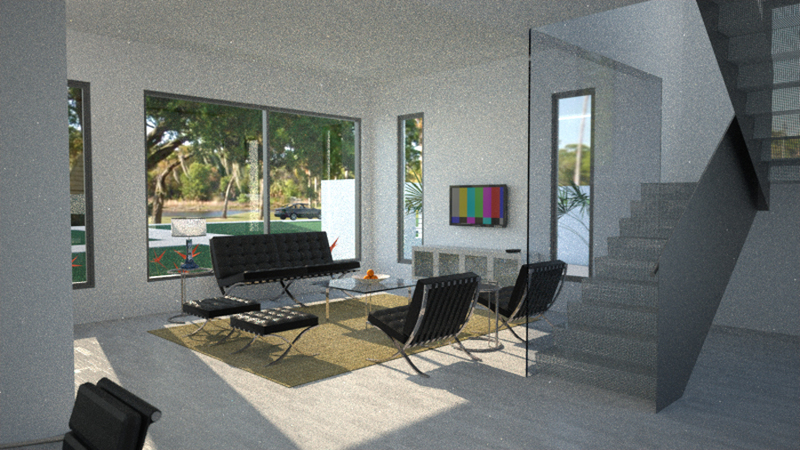 The house, built in 1972, is modern. 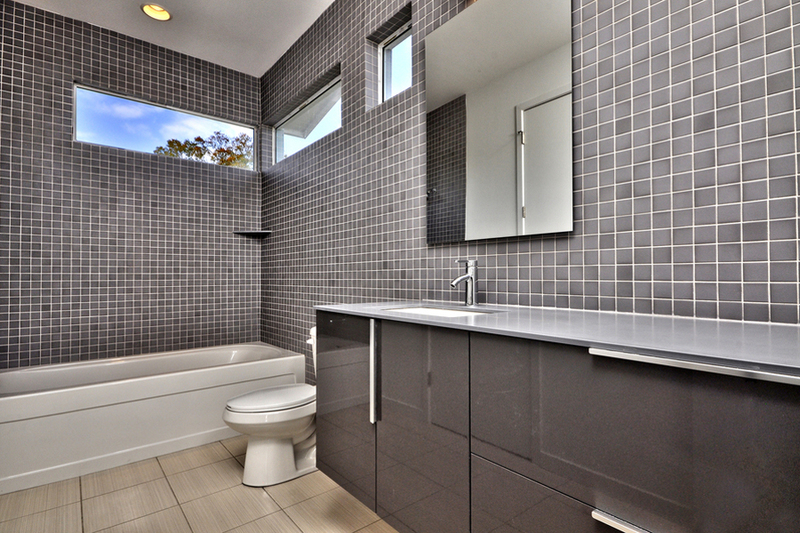 Thus, the bathroom, completed in 2012, was updated to offer an intriguing modern experience with large imported Italian tile, exposed German plumbing fixtures, chrome accessories, and light fixtures reminiscent of a ship. 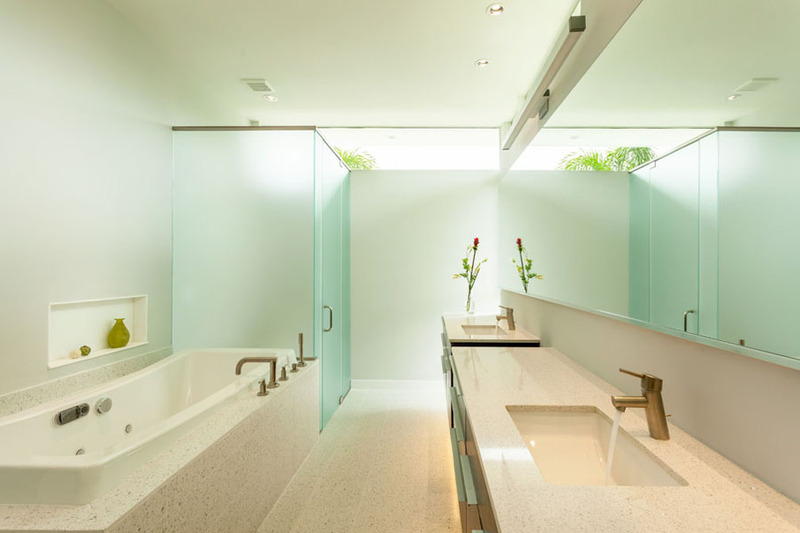 The soffit above the vanity and dropceiling in the shower were removed to open up the space. 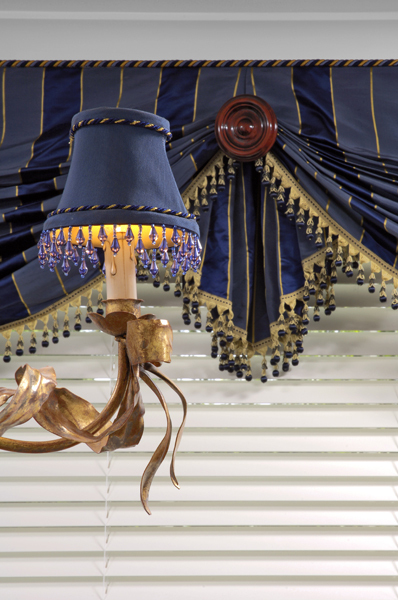 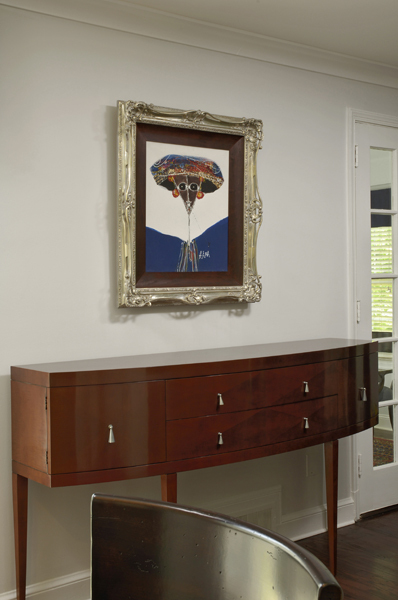 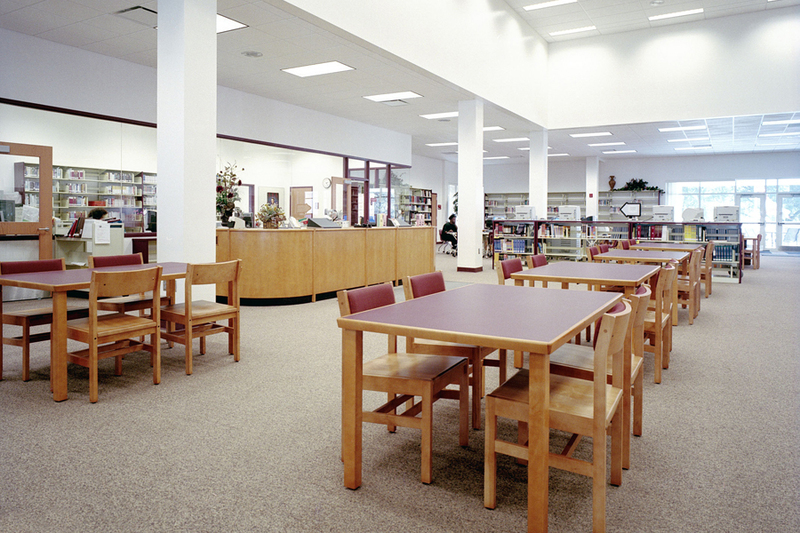 This provided a clean break for the warm accent color as well as a uniform ceiling height throughout the room. 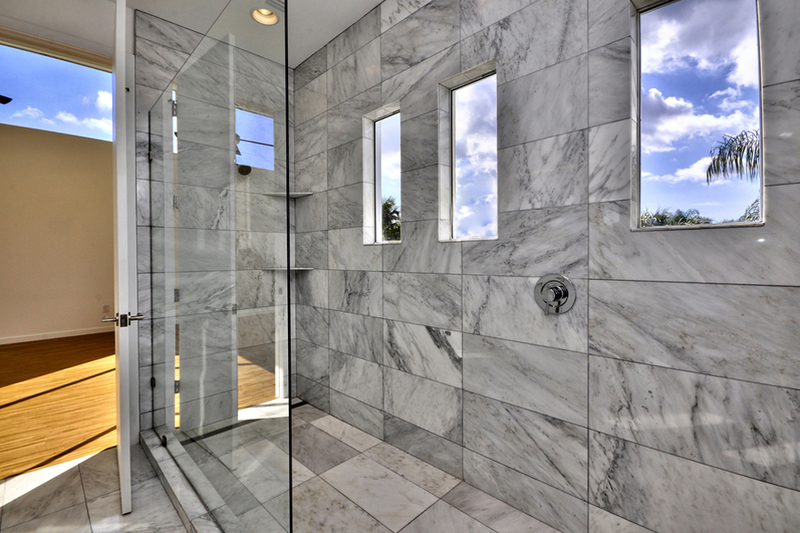 Beige glossy wall tiles provide the smooth transition between the wall color and the Bottocino marble running from the hall into the bathroom. 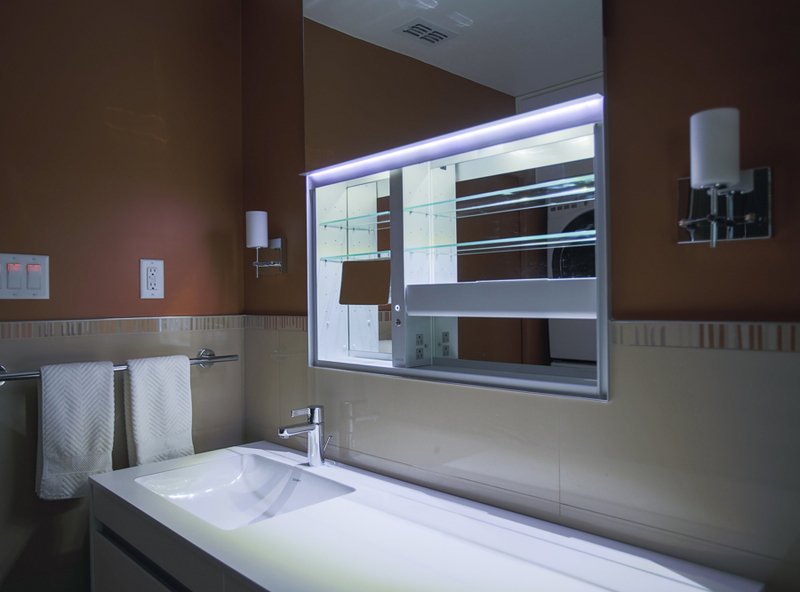 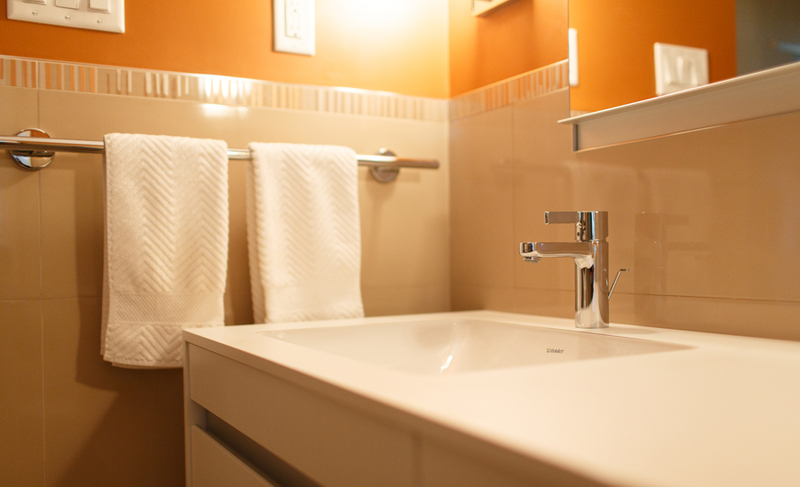 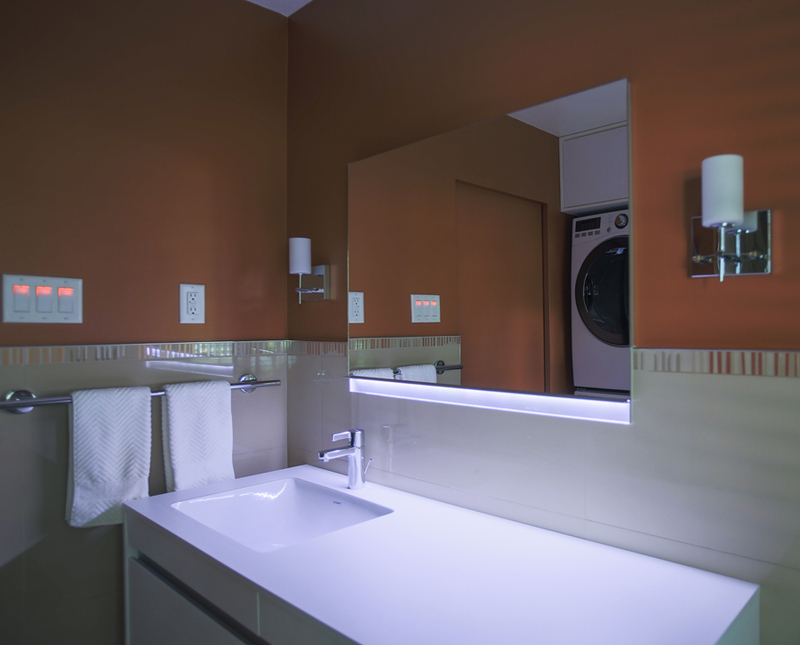 The vanity cabinet was replaced with a custom clear form wall-mounted vanity with fittings by Hansgrohe and Duravit. 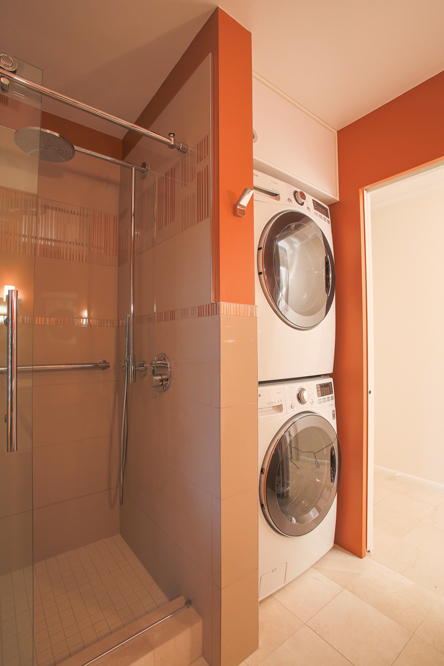 To maximize use of the space the linen closet expanded into laundry area with a stack washer and dryer. 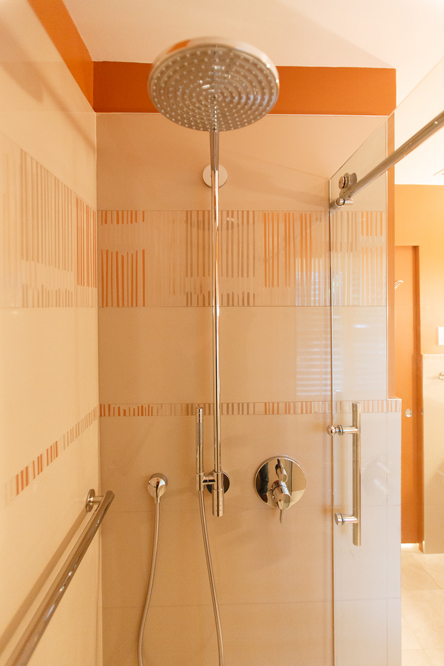 The barn style sliding glass shower door opens up the spaces to reveal the exposed shower fixtures by Hansgrohe. 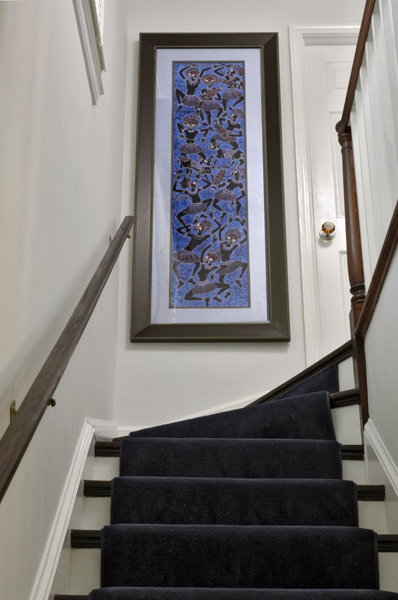 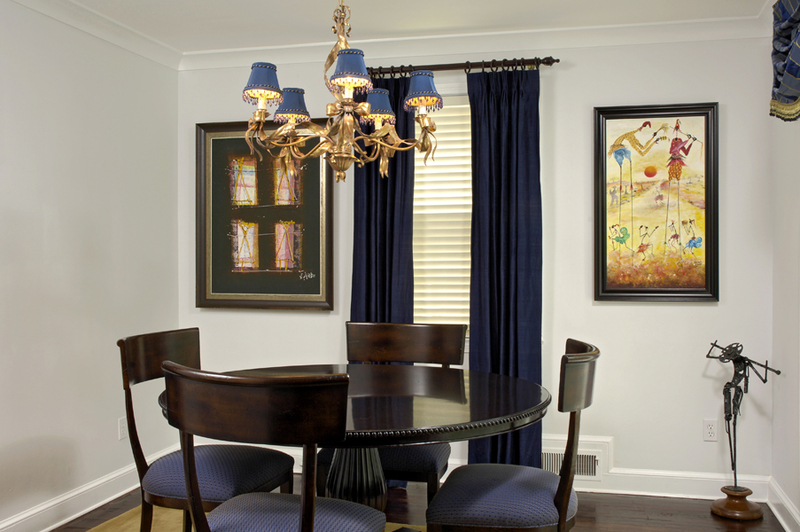 The Diallo Residence is a complete renovation of a two-story historic house in Palisade, Washington DC. 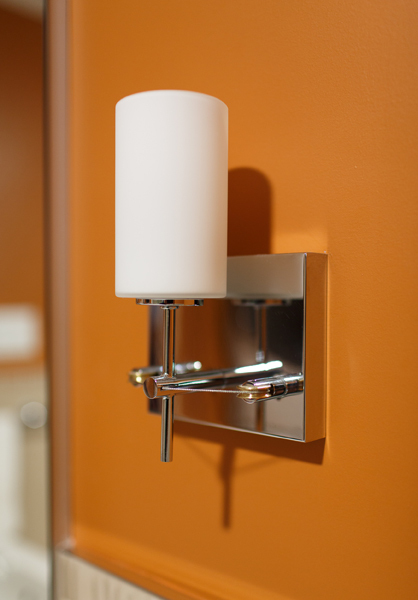 SYLLA International provided the interior design services. 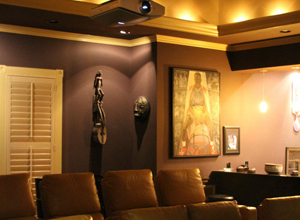 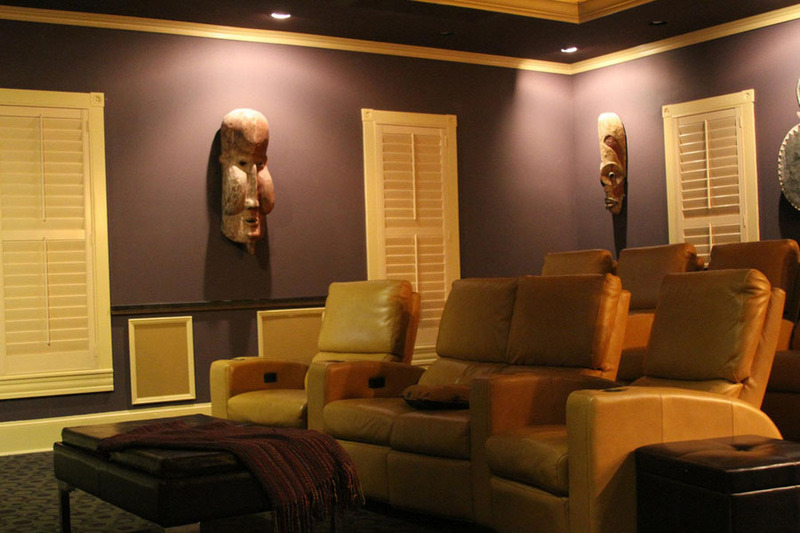 This home theather was a 1,000 sq. 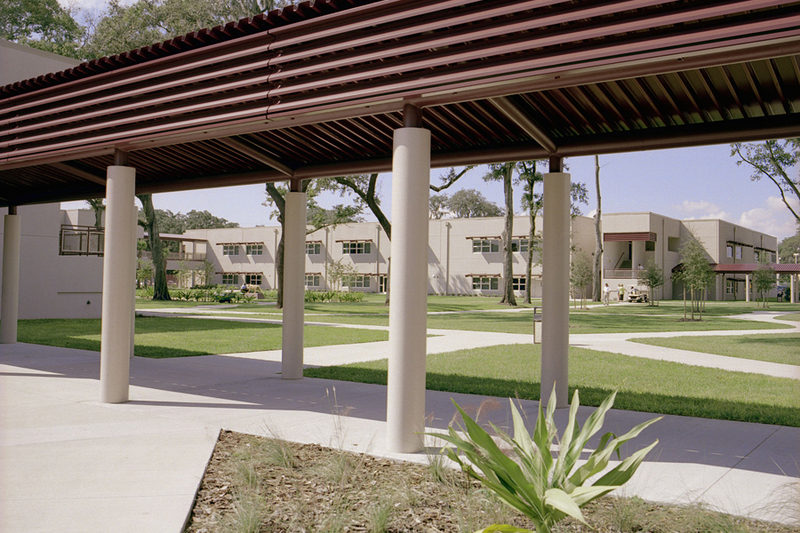 ft. addition designed around the clients ethnic art collection. 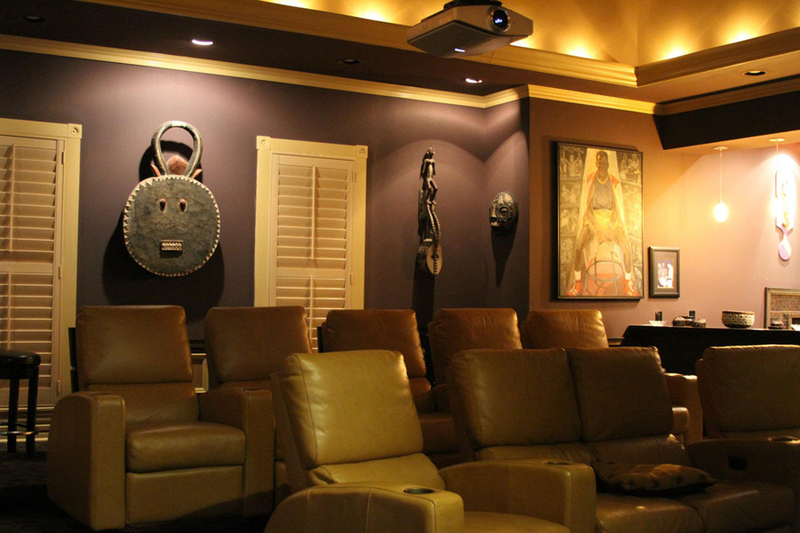 It included seating for nine, a beverage bar, and a fully equipped surround sound system with a 60 inch television screen. 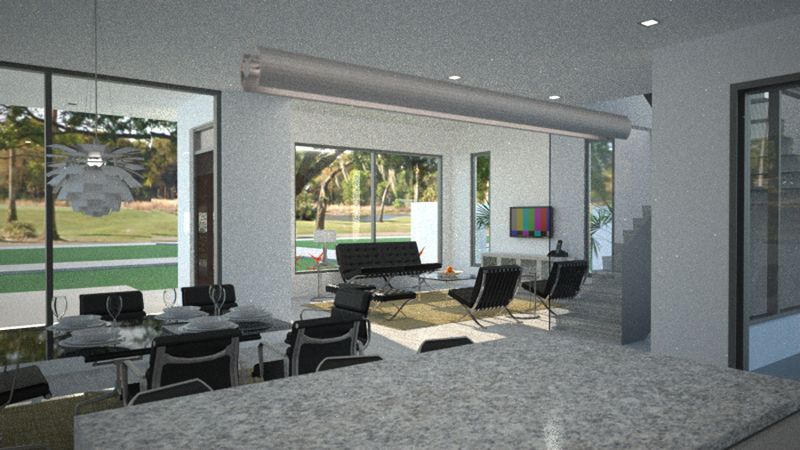 SYLLA International provided the architecture and interior design services. 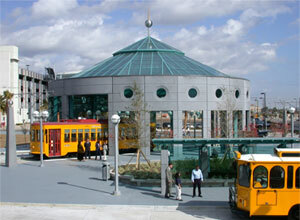 The Southern Transportation Plaza is a trolley station that serves as the western terminus of Phase I of the new Historic Tampa Streetcar and Trolley System. 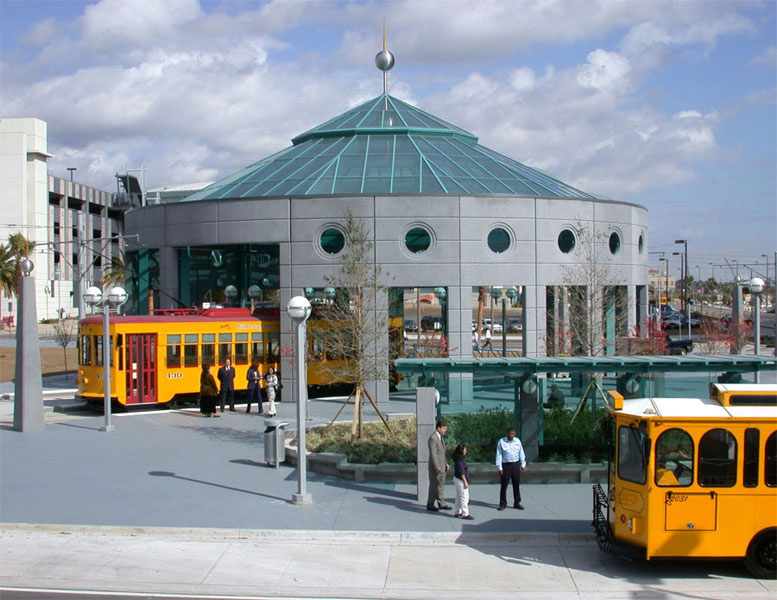 This new trolley system connects the Tampa Central Business District with the historic community of Ybor City. 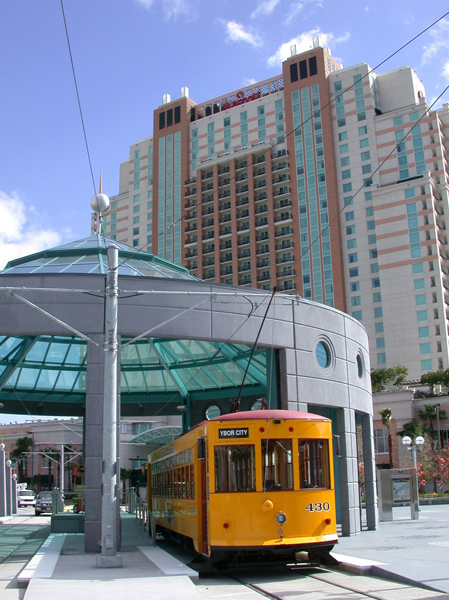 The trolleys, reproductions of the ones that traveled the streets of Tampa in the 1930’s, allow tourists and residents to move among some of Tampa’s busiest points of interest, including the Tampa convention Center, Ice Palace Arena, Tampa Aquarium, and several million square feet of retail shops, restaurants, hotels, movie theatres, night-clubs, and other entertainment venues. 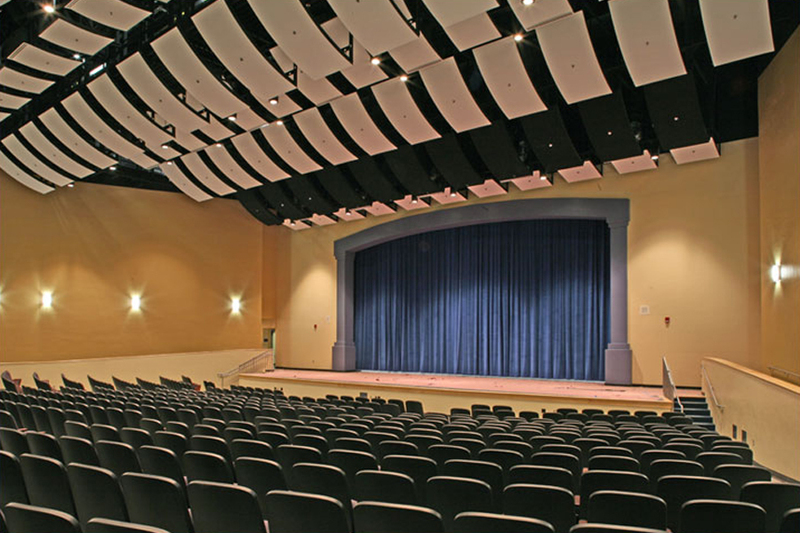 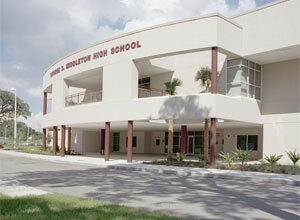 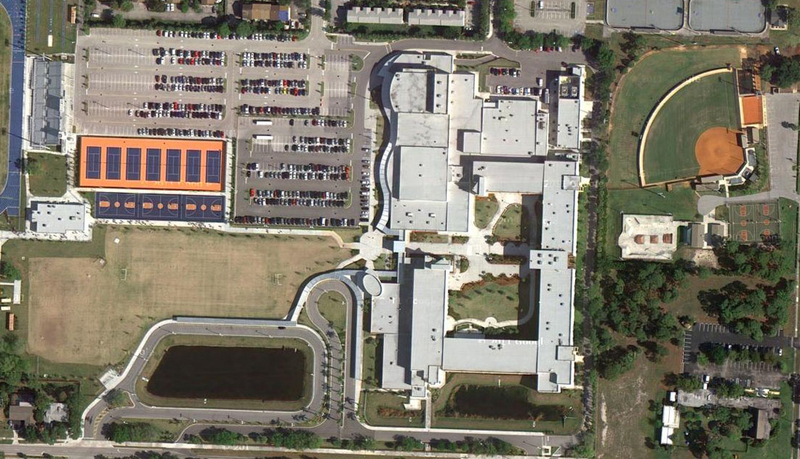 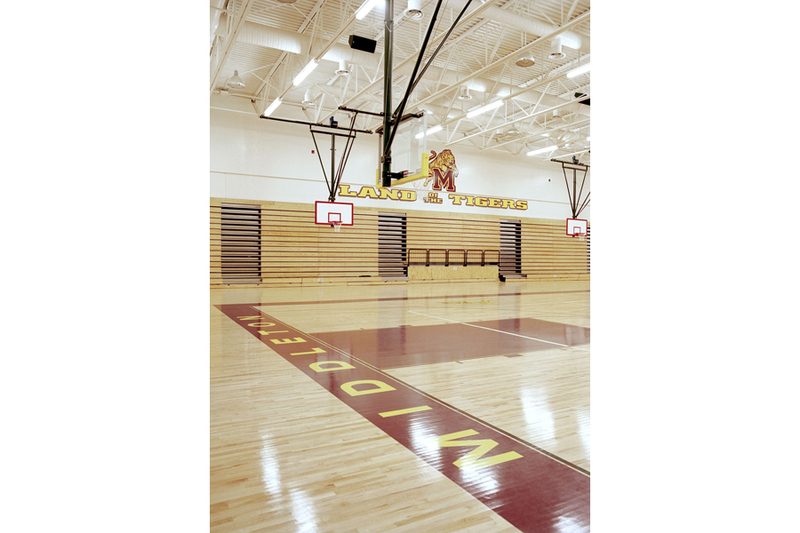 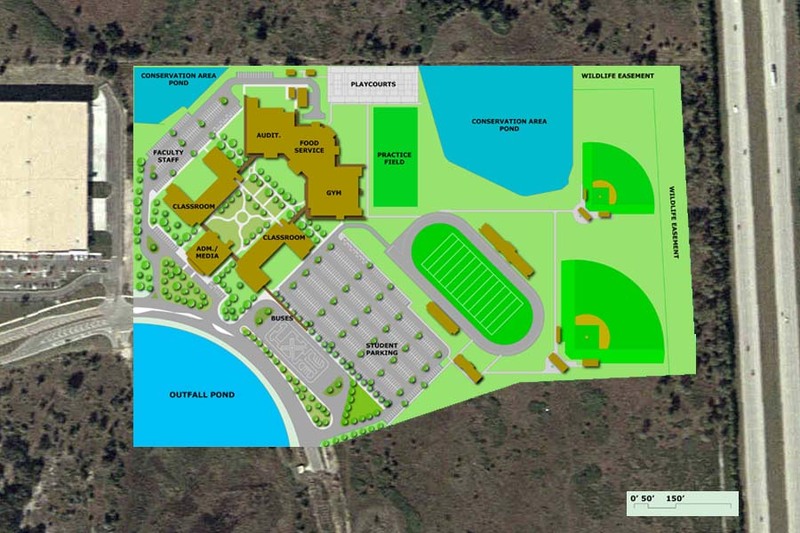 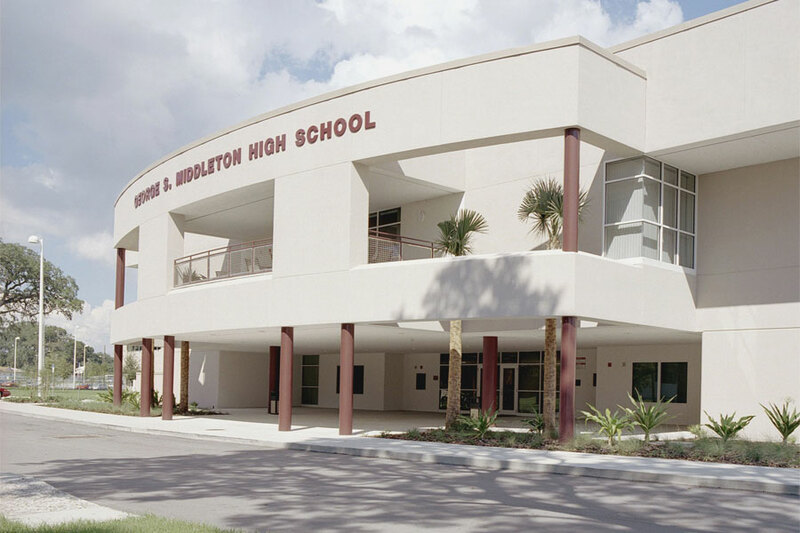 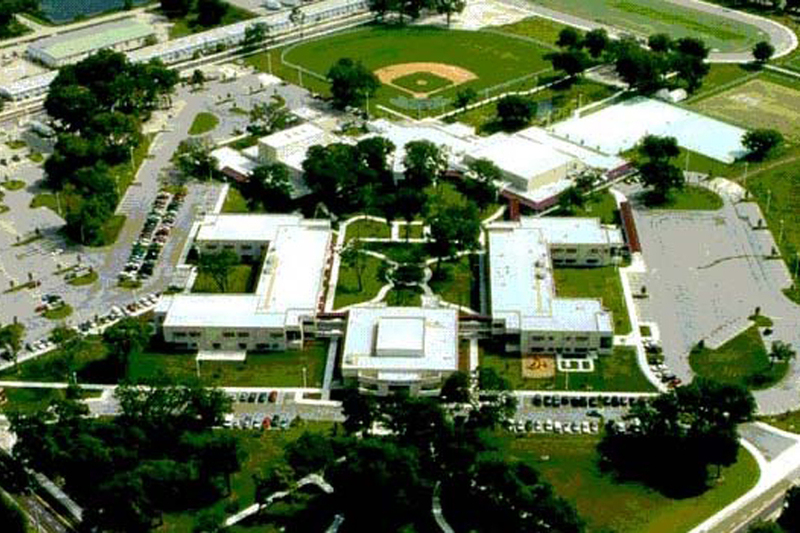 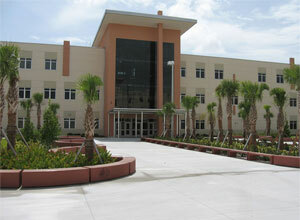 Middleton High School is $30 million school with 2,500-student high school located in East Tampa. 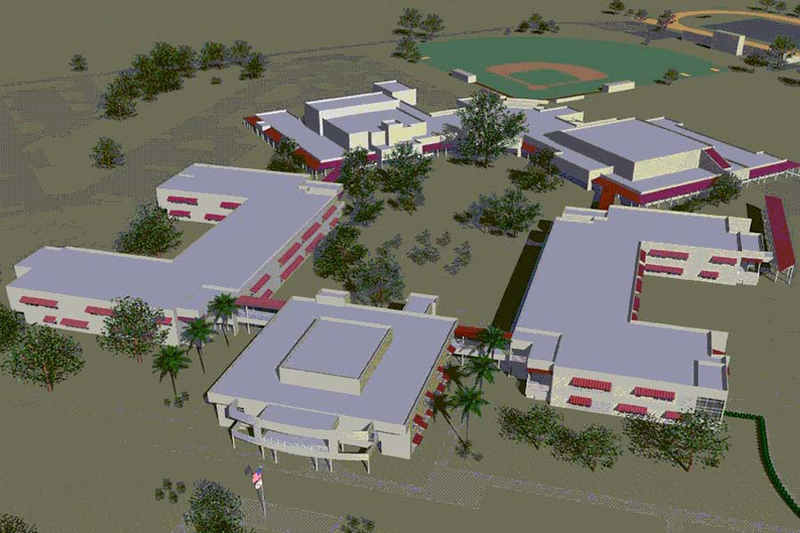 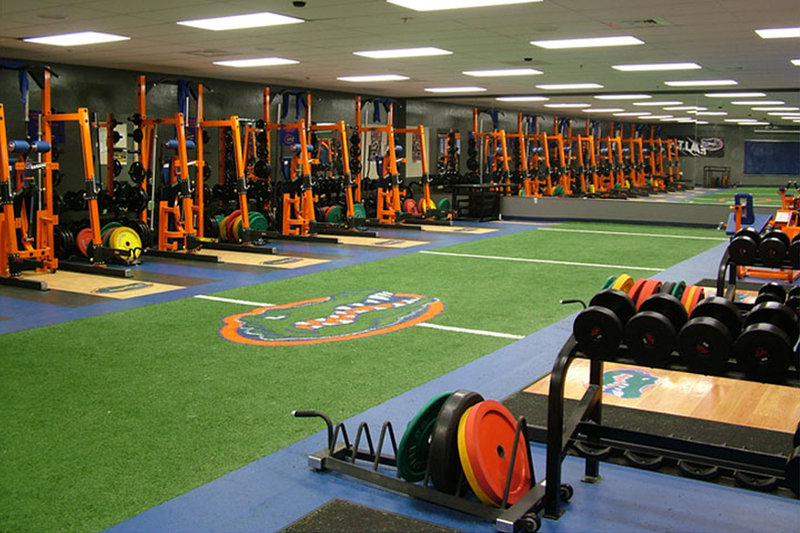 The state-of-the-art facility, with six buildings totaling nearly 240,000 square feet on a 53-acre site, consists of an administration/media center building, two classroom wings, auditorium, food service, gymnasium, and sports Facilities for football, baseball, softball, basketball, and tennis. 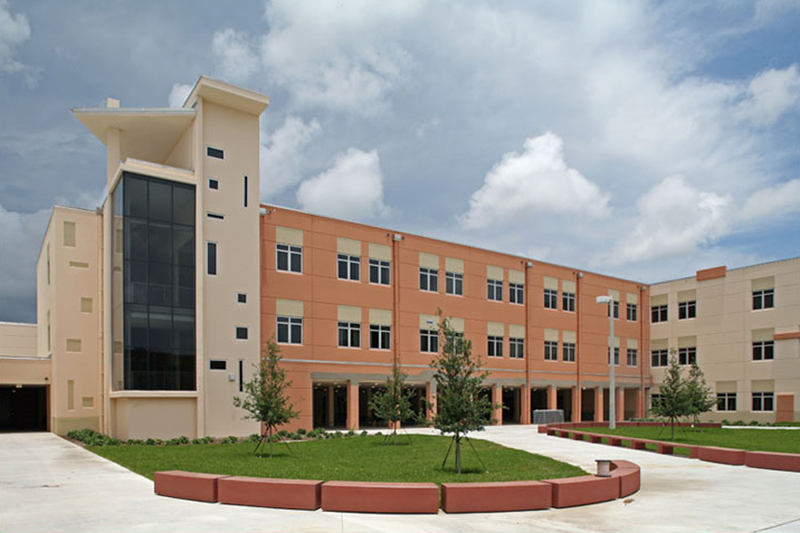 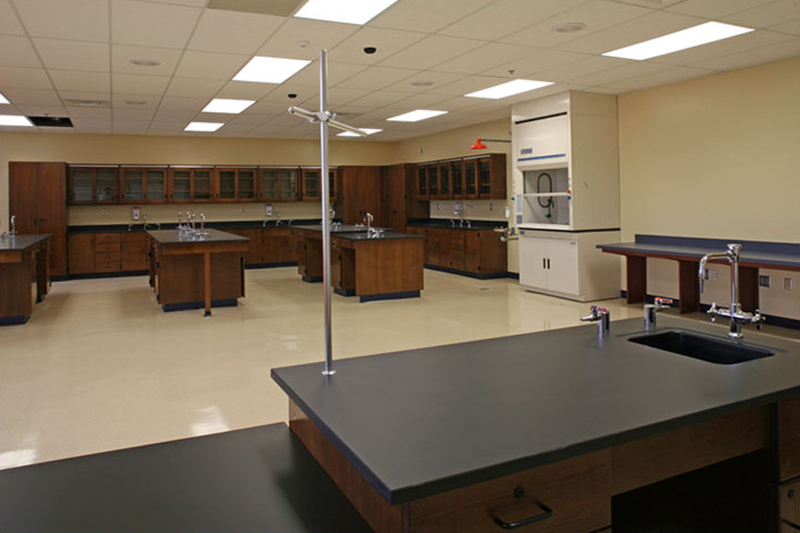 The new high school houses the District’s magnet programs that emphasize engineering, biotechnology, environmental technology, aerospace technology, computer and network technology. 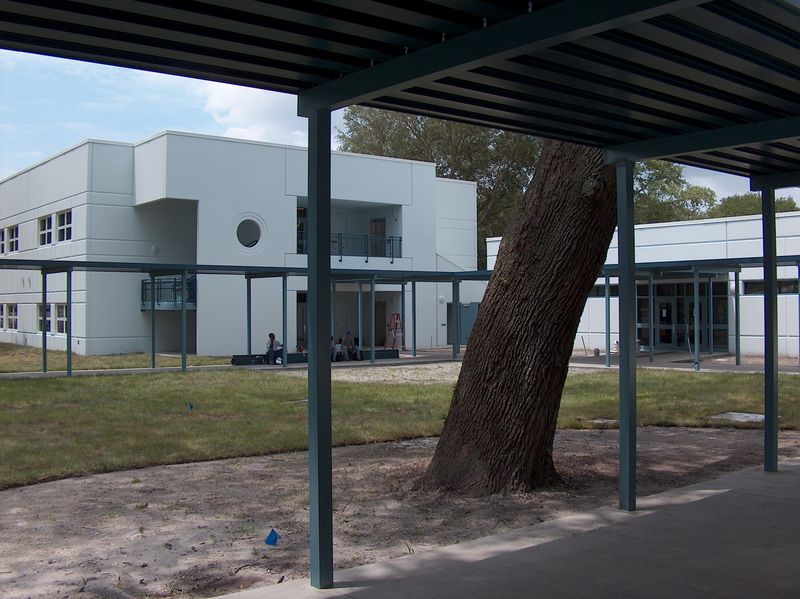 The design approach of the school was based on a courtyard concept in a park-like setting that was made possible by an abundance of mature trees that were saved. 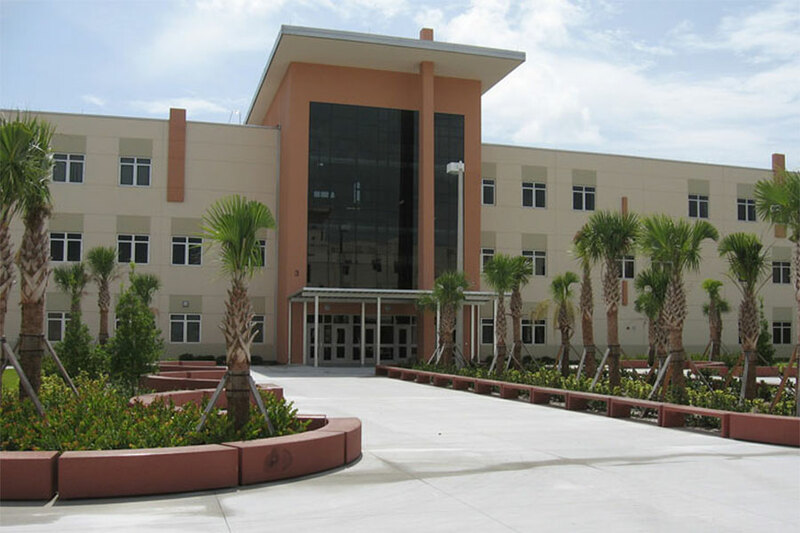 SYLLA, Inc. was the Architect of Record for this $80 million replacement high school with a student population of 2,635 located. 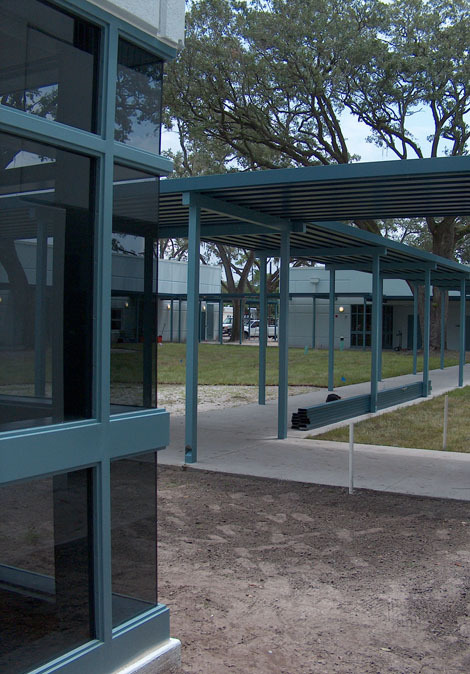 The design incorporated the replacement of all prior structures with new facilities for a total of 385,555 gross square feet. 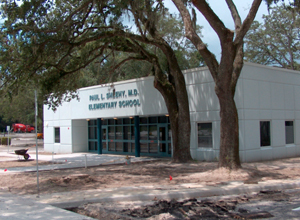 Paul L. Sheehy Elementary School is a smaller elementary school with 600 students. 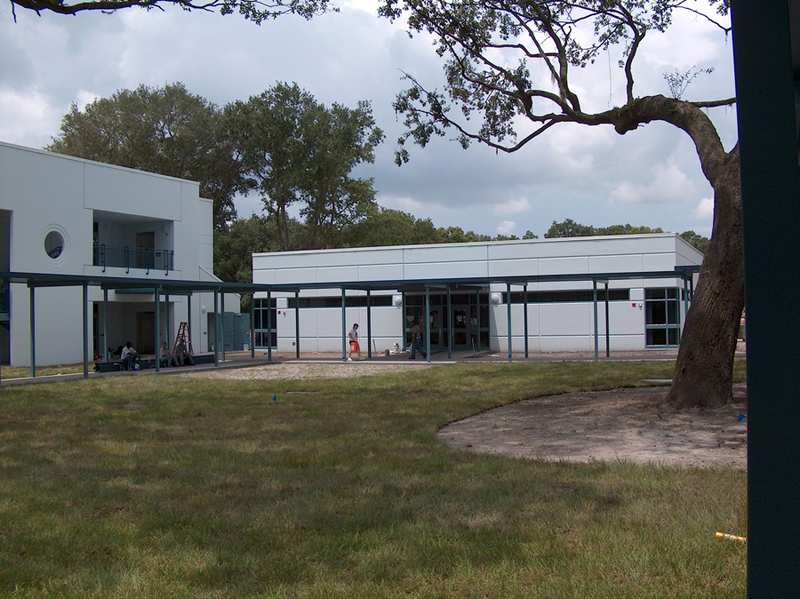 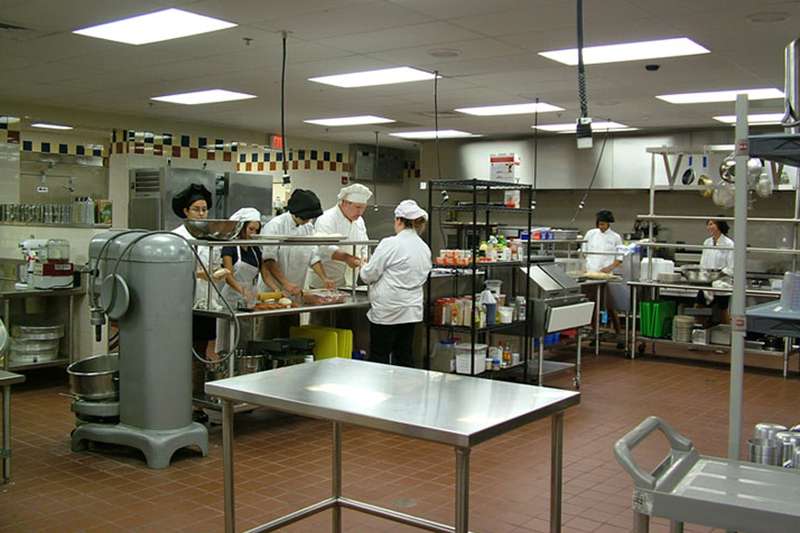 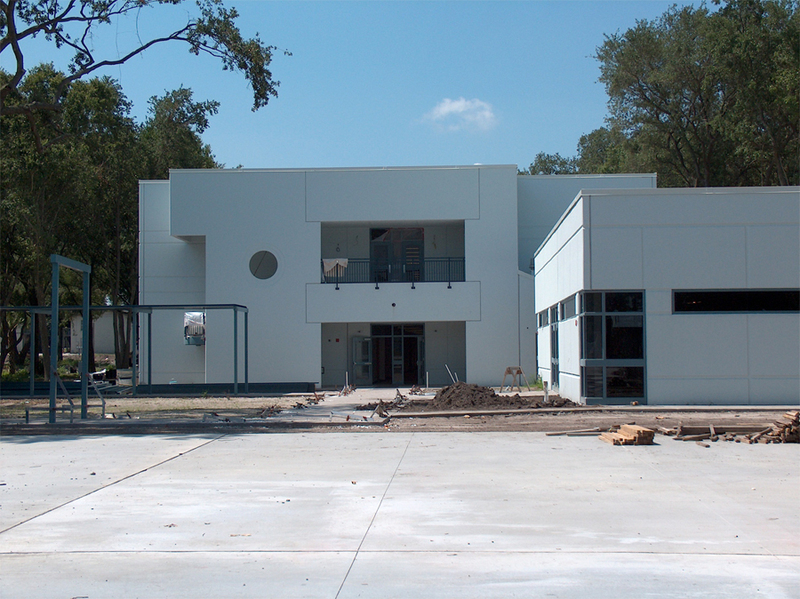 It was completed in 2004 and it consists of 30 classrooms, an administration building, media center, multipurpose room/cafeteria room, and outdoor play areas. 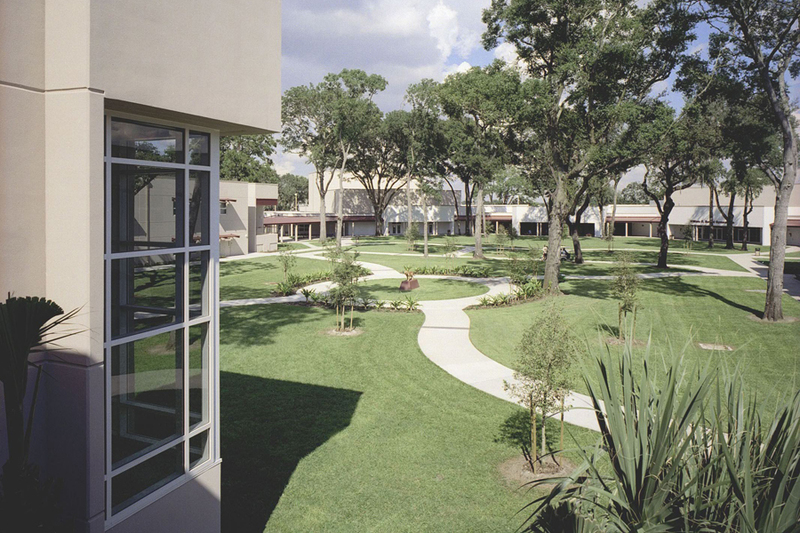 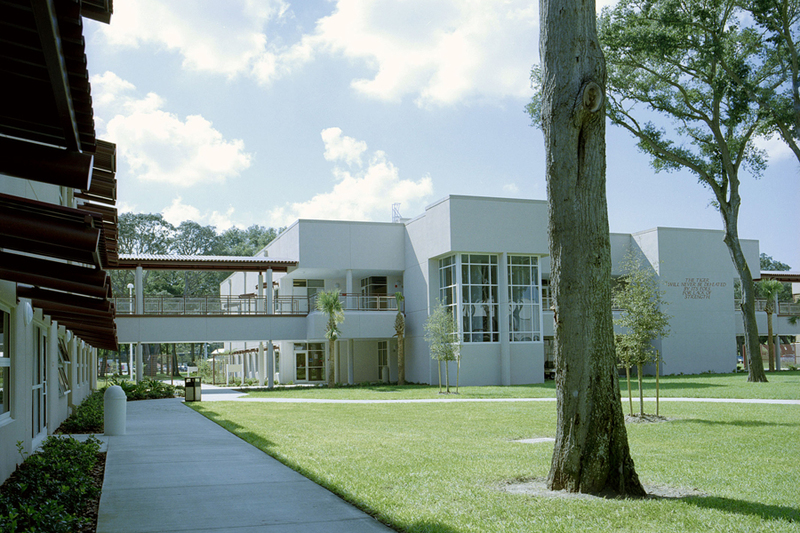 The school was designed in an informal geometric composition, yet with a courtyard concept that is defined by the classroom building, the administration building and the media center. 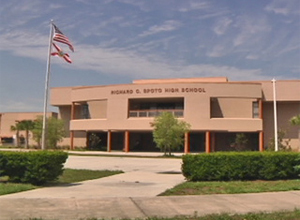 Richard Spoto High School is a repeat of Middle High School's Design. 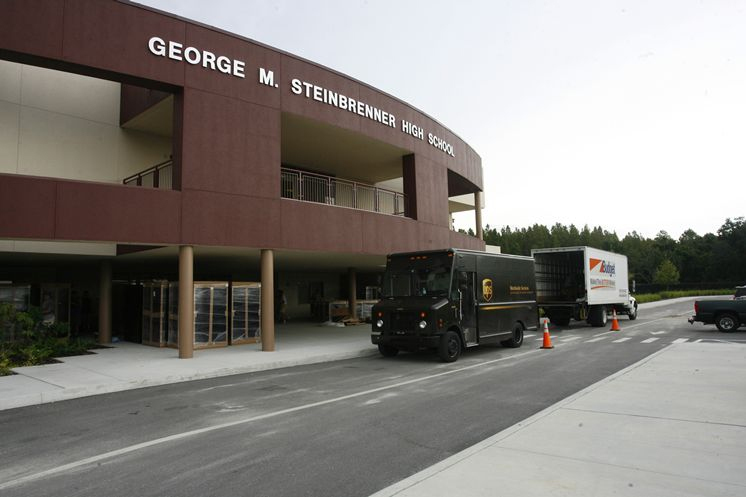 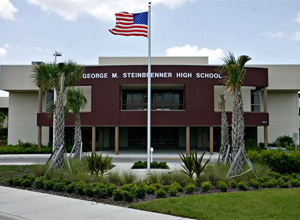 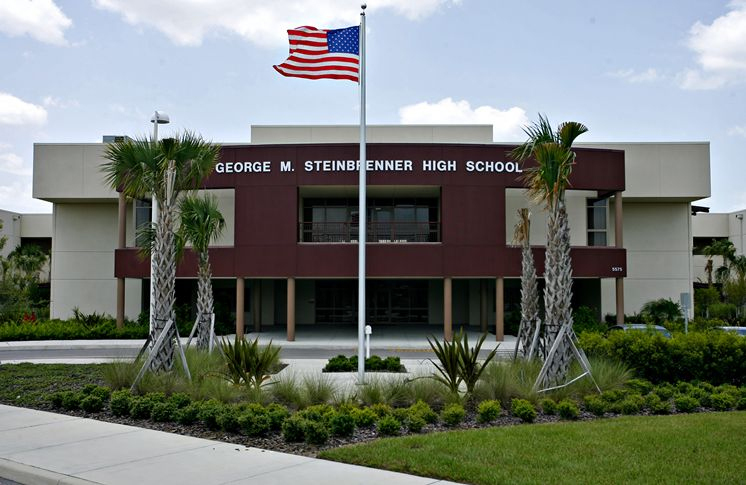 George Steinbrenner High School is a repeat of Middle High School's design. 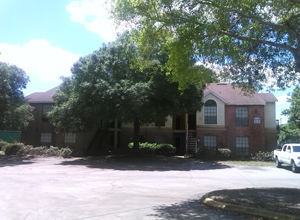 SYLLA was responsible for the preparation of a HUD HOPE VI Revitalization Plan for Jordan Park. 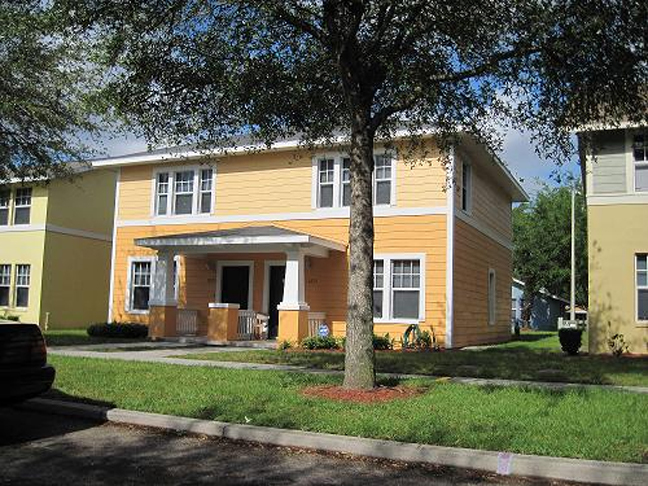 The SPHA contracted SYLLA to develop the Revitalization Plan and Self-Sufficiency Plan that discussed the implementation strategy and physical revitalization for redeveloping St. Petersburg's largest public housing complex. 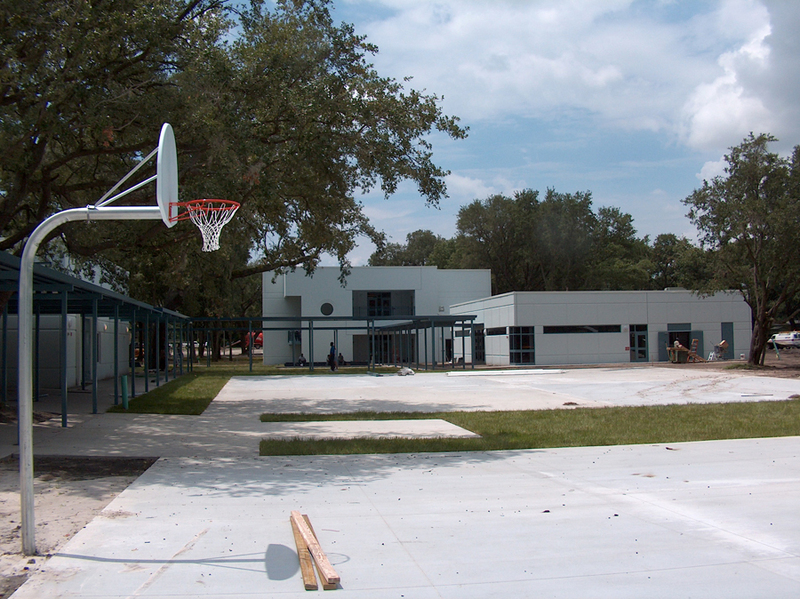 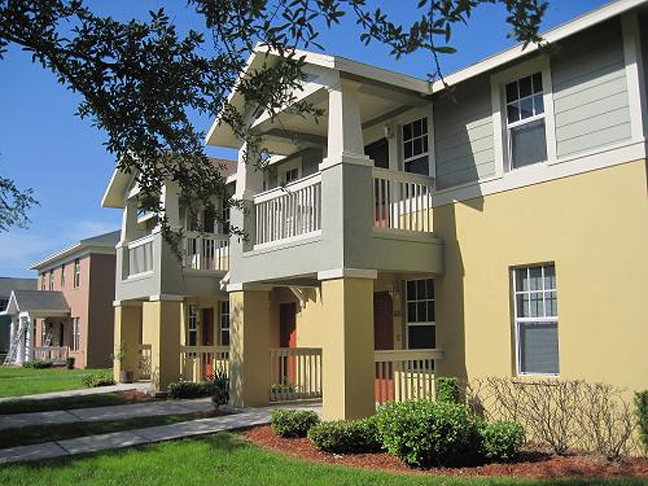 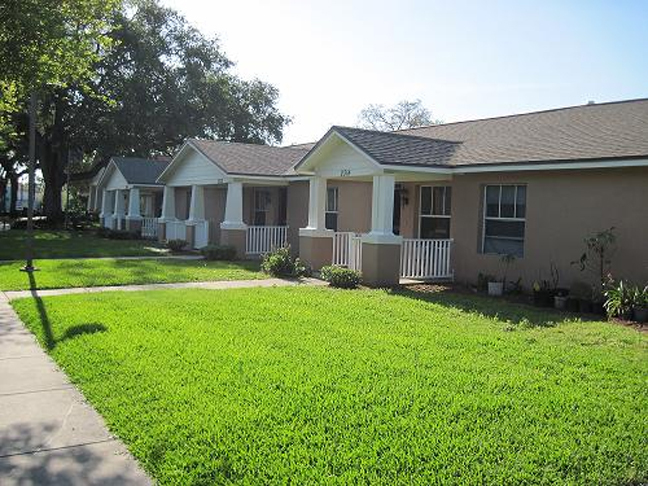 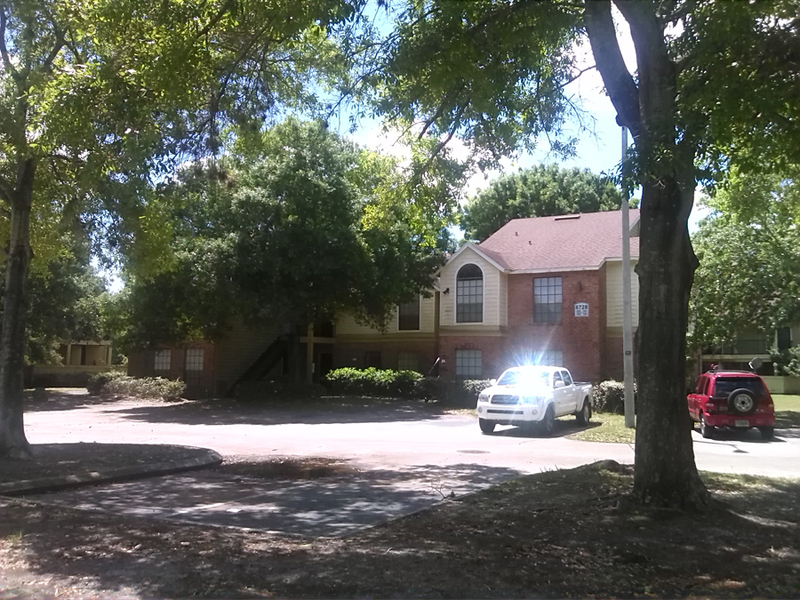 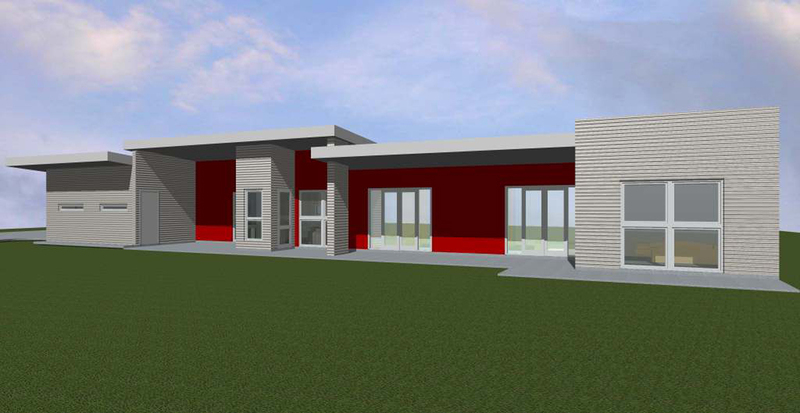 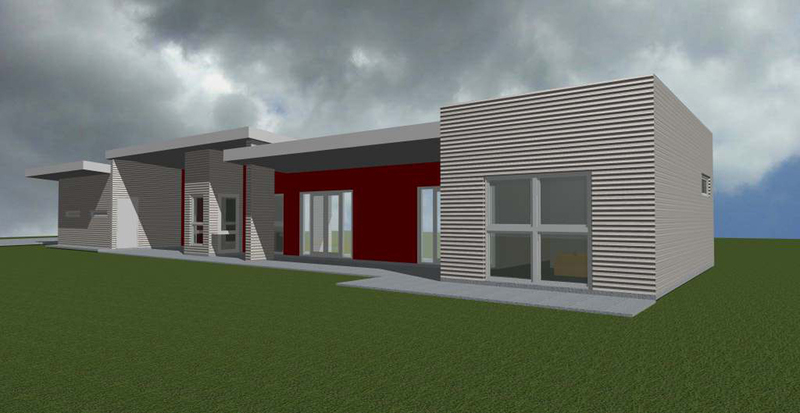 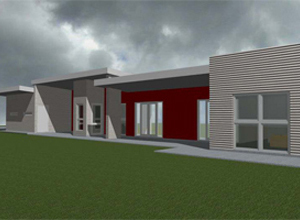 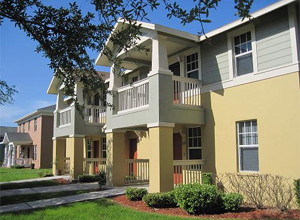 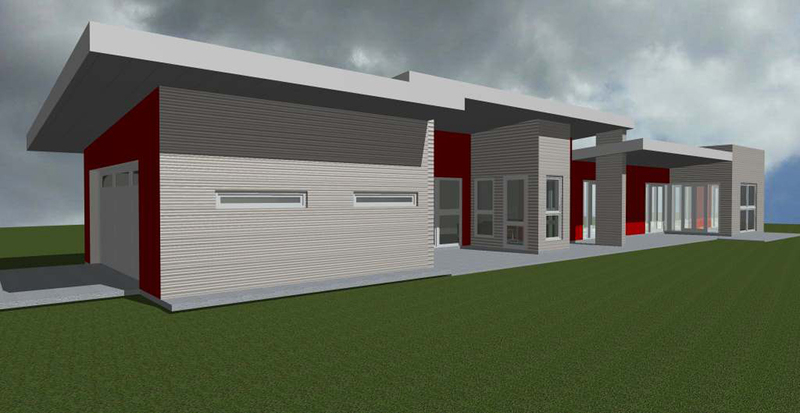 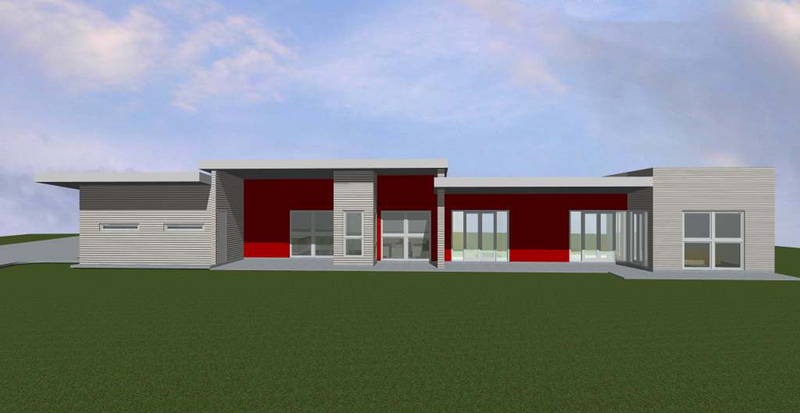 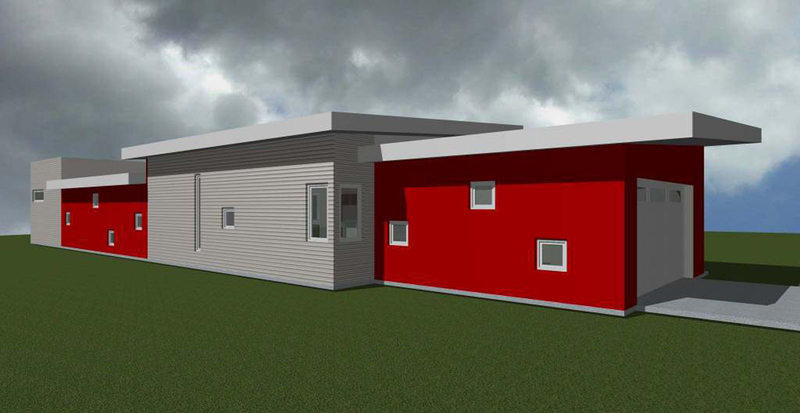 The St. Petersburg Housing Authority (SPHA) submitted and application to receive a HOPE VI Implementation Grant for Jordan Park located in St. Petersburg, Florida. 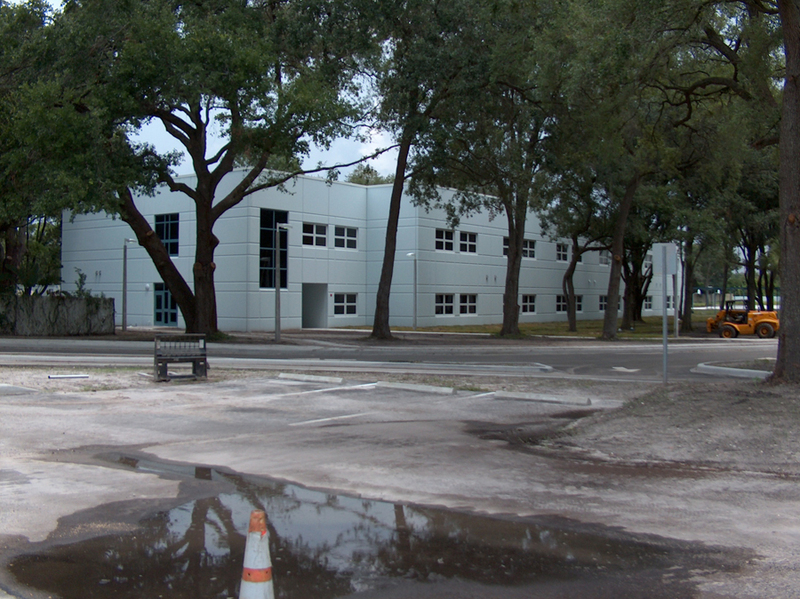 The SPHA contracted SYLLA to develop the Revitalization Plan and a Self-Sufficiency Plan that discusses the implementation strategy and physical revitalization plan for redeveloping St. Petersburg's largest public housing complex. 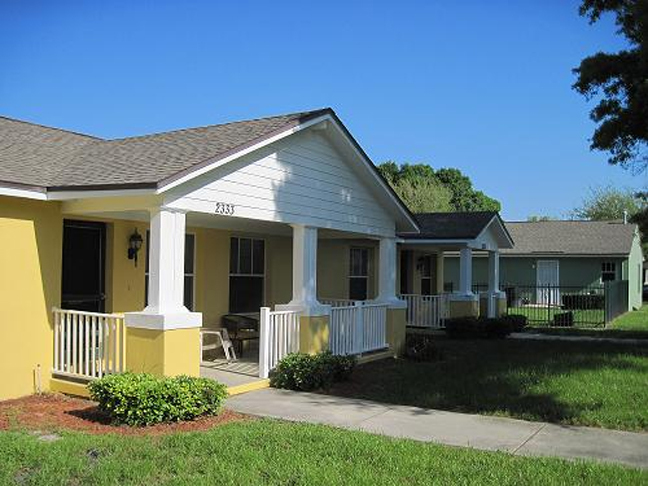 The plan discusses the existing distressed living conditions, the physical revitalization plan, program oversight, program financing, the management plan, the self-sufficiency and community building work-plan, the resident consultation plan and the detailed implementation budget and schedule. 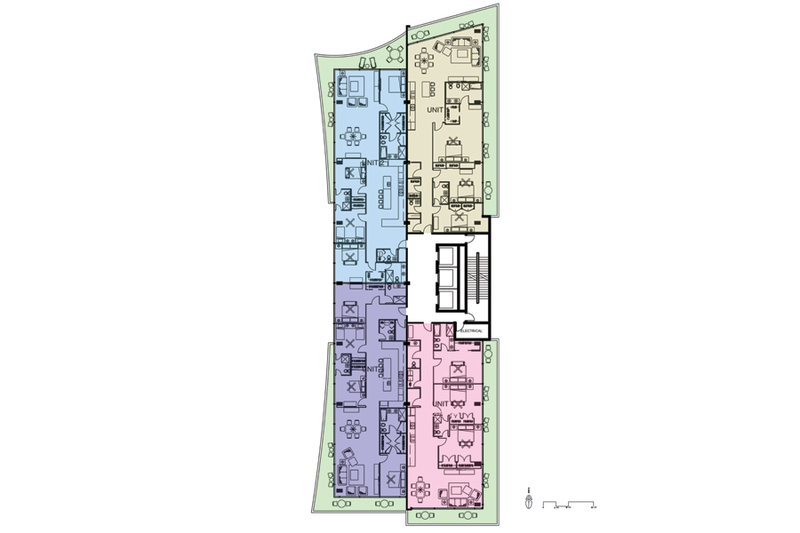 Key elements include mixed-use single and multi-family housing, senior housing, a central, axial park, and improved facilities for pedestrian and bicycle activities. 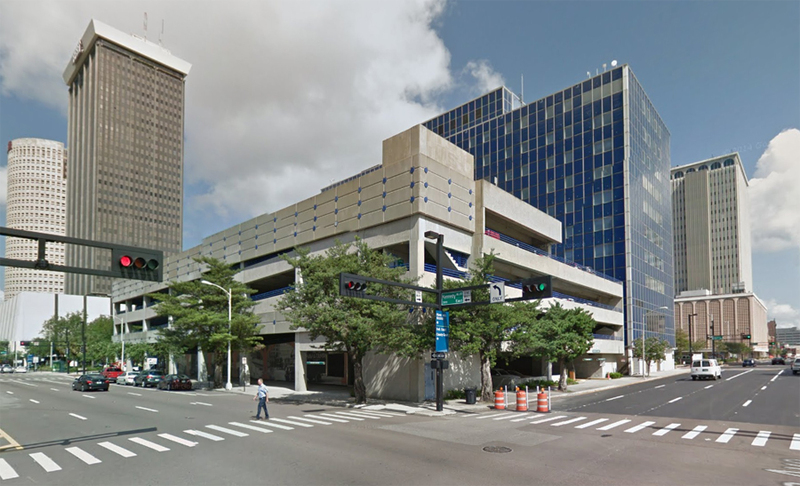 This project consists of the design and construction administration of the Tampa Police Department HQ Parking Garage located next to the newly renovated downtown Tampa headquaters building. 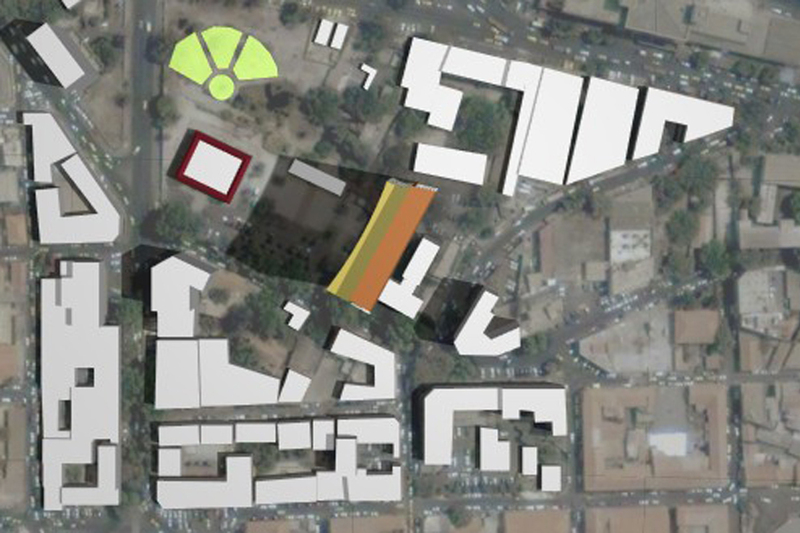 The structured parking gargage has the capacity for 275 vehicles and integrates first floor retail on Franklin Street Mall & Kennedy Boulvard. 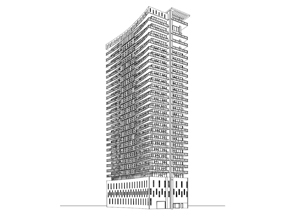 The perceptual image of the parking structure is very important because of its pre-dominant location and surrounding context. 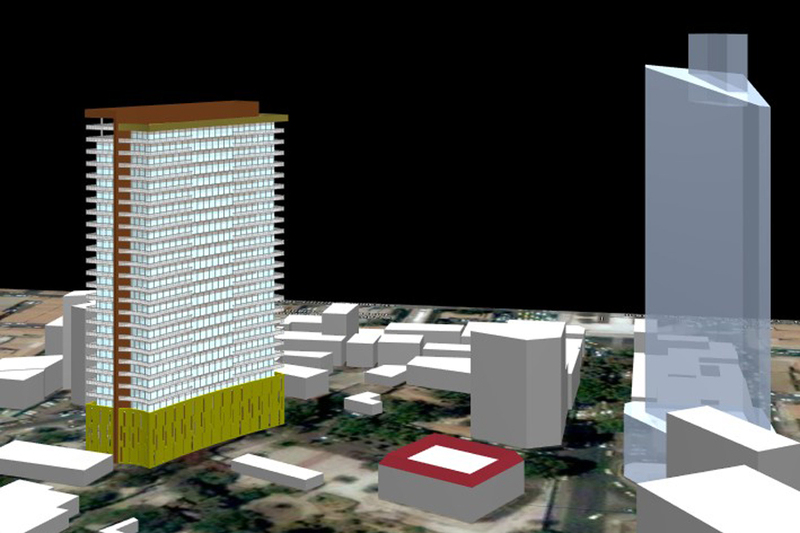 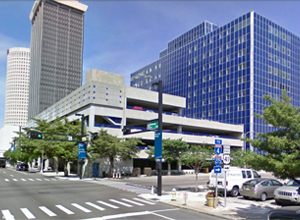 The parking structure is directly adjaent to Tampa City Hall, Gasligh Park, and is within the Central Business District. 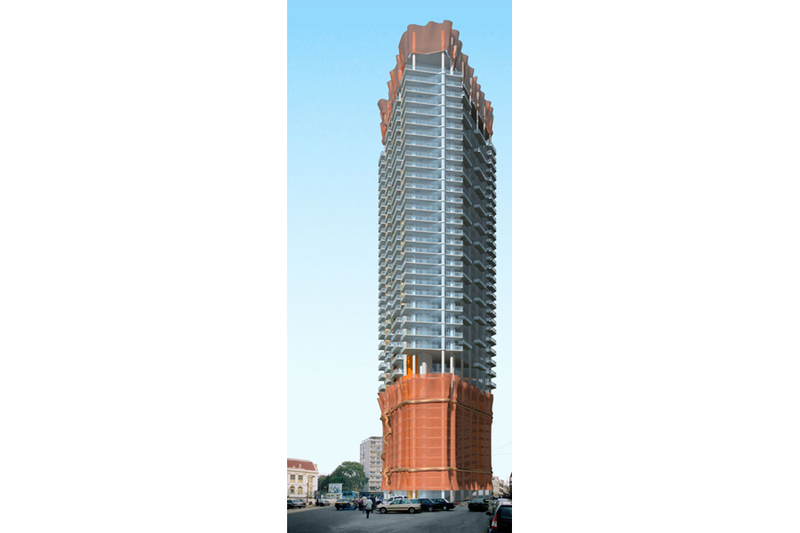 The Manhattan Tower is a new 30-story luxury residential development project being proposed in the heart of downtown Dakar, the capital of Senegal, West Africa. 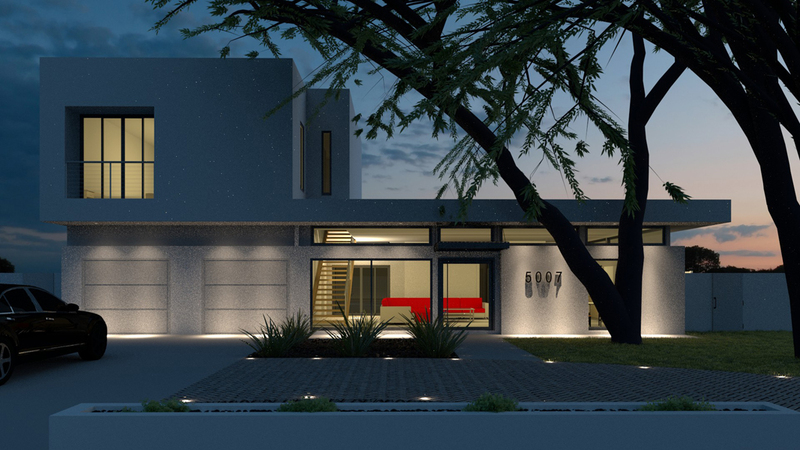 The proposed luxury residential development, which will be one of the tallest in Dakar, consists of a total of 91 units that redefine modern living in West Africa. 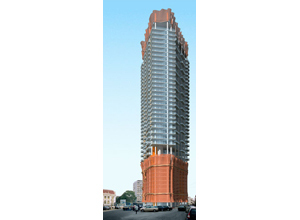 The Miami Tower is a new 40-story luxury residential development project being proposed in the heart of downtown Dakar, the capital of Senegal, West Africa. 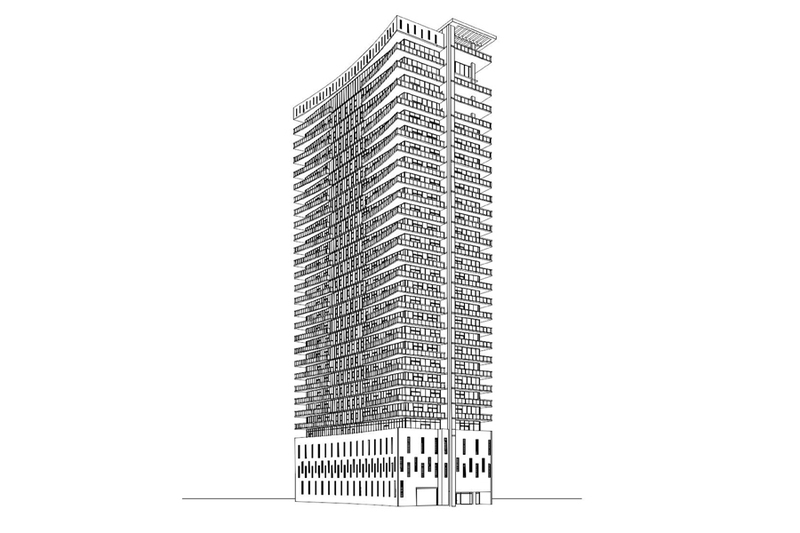 The proposed luxury residential development, which will be the tallest in Dakar, consists of a total of 140 units that redefine modern living in West Africa. 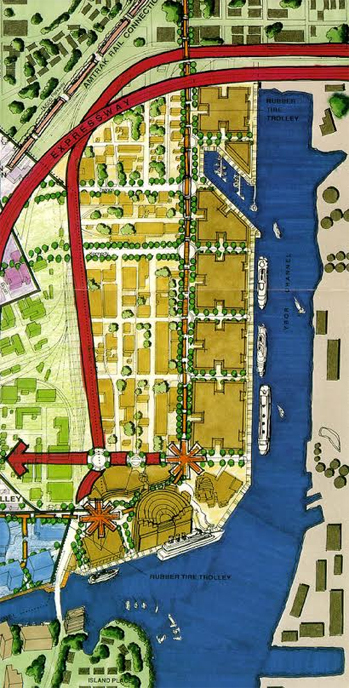 2)exploring mutually reinforcing activity mixes that would generate a vital 24-hour environment, attractive to touriest, residents, employees and entertainment seekers. 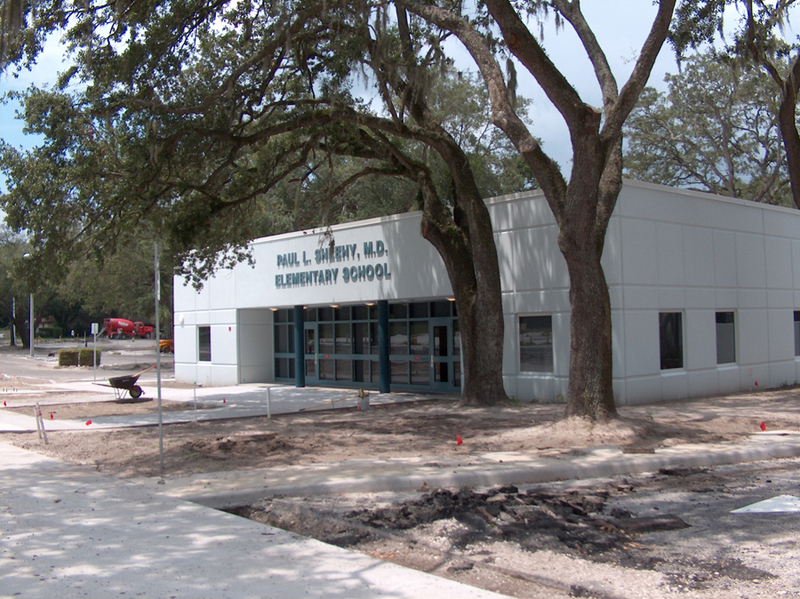 SYLLA Construction Services, Inc. was an integral part of the joint venture construction management team of Huber, Hunt & Nicholas, Inc. and Metric Constructors. 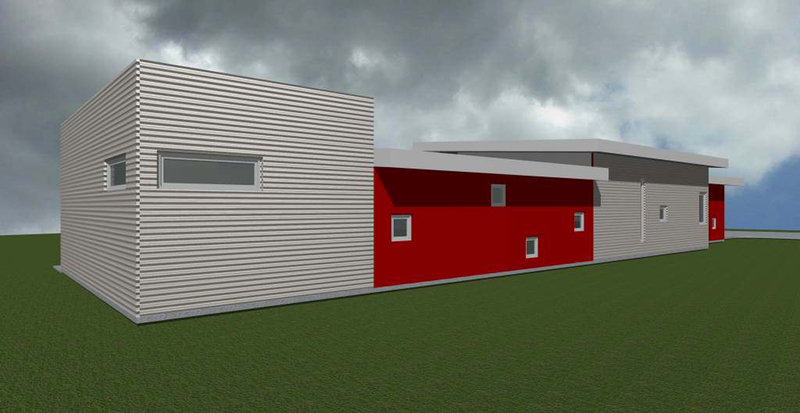 We contributed a staff of three people to the project: an assistant superintendent, a project engineer and an engineering secretary. 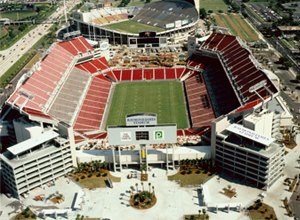 The 65,000-seat Raymond James Stadium was completed in 1998 at a cost of $175 million. 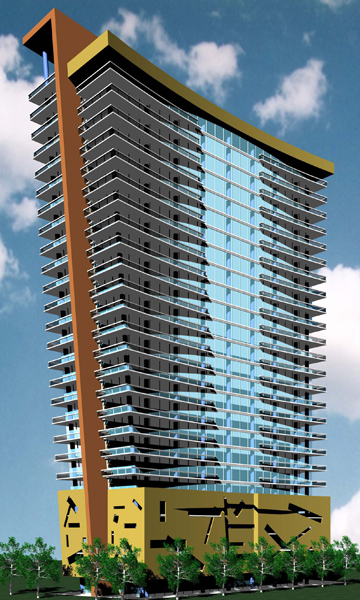 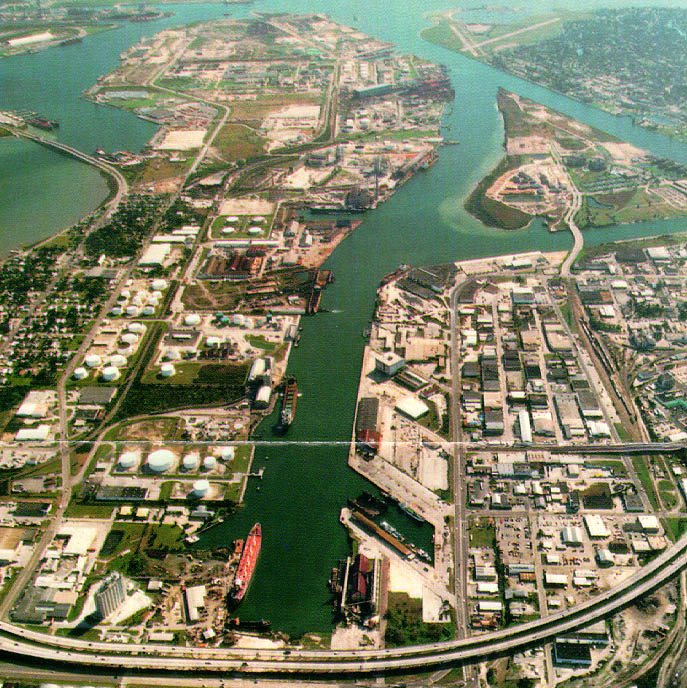 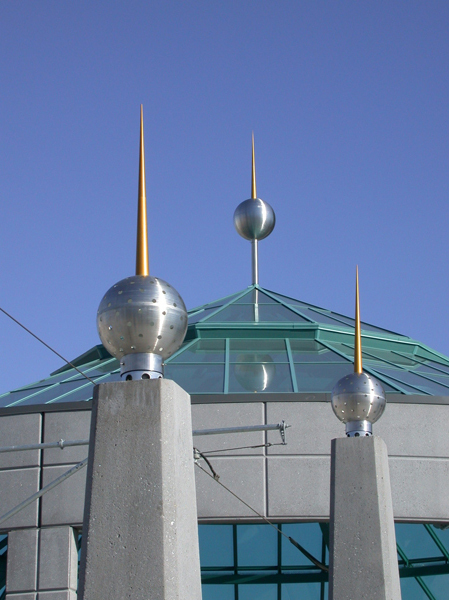 It covers 1.6 million square feet and reaches 152 ft (seven stories). 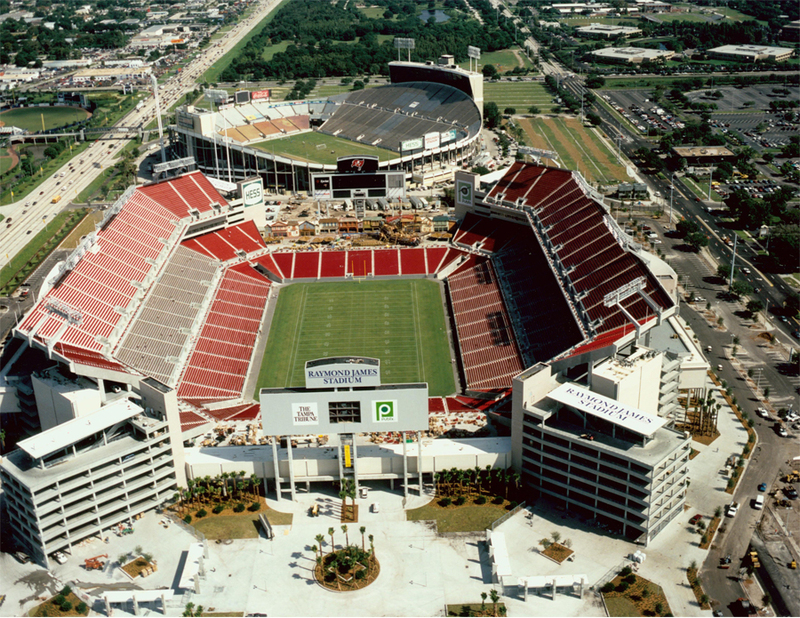 The state of the art stadium was designed with upscale amenities, including 164 suites with access to two 65,000 sq. 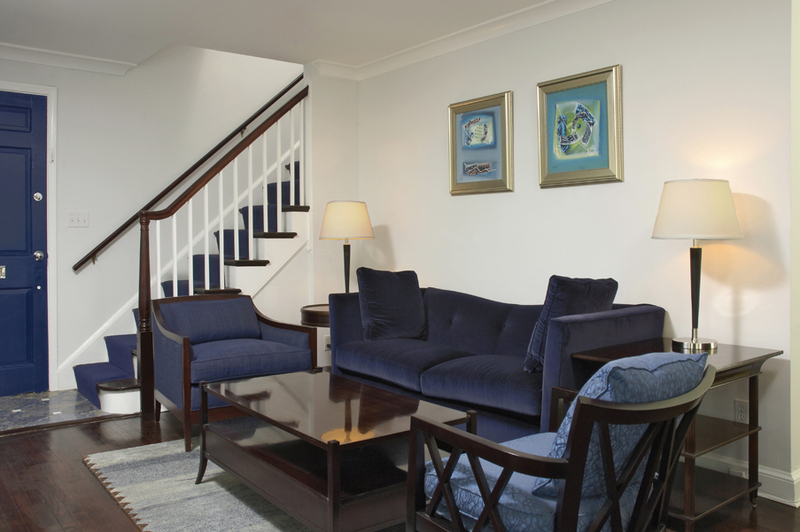 ft. of club lounges, lower and upper level suites that are respectively 65 feet and 78 feet from the side lines. 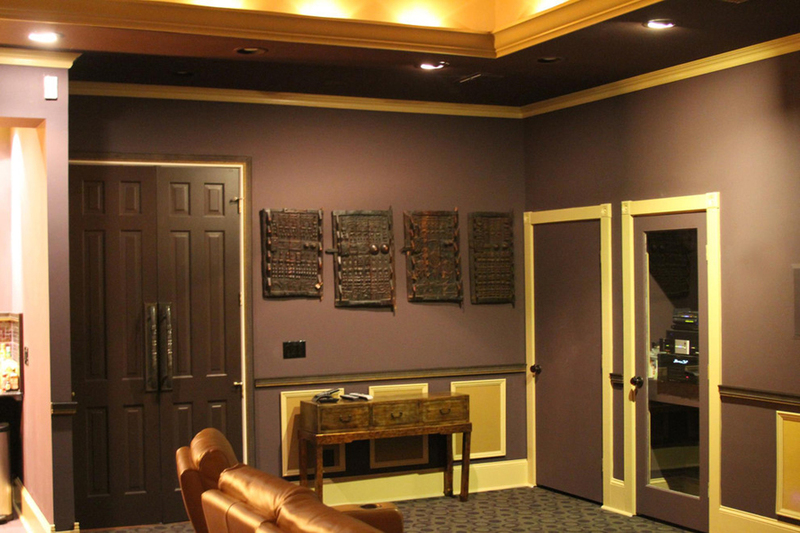 The club lounges have four bars, buffets and many additional concession stands. 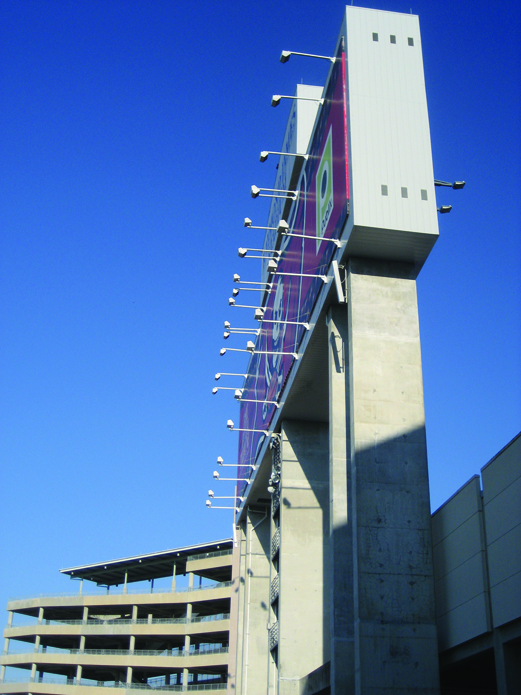 The stadium also has identical east and west atriums that provide entry to club and suite levels, which feature 1,300 televisions. 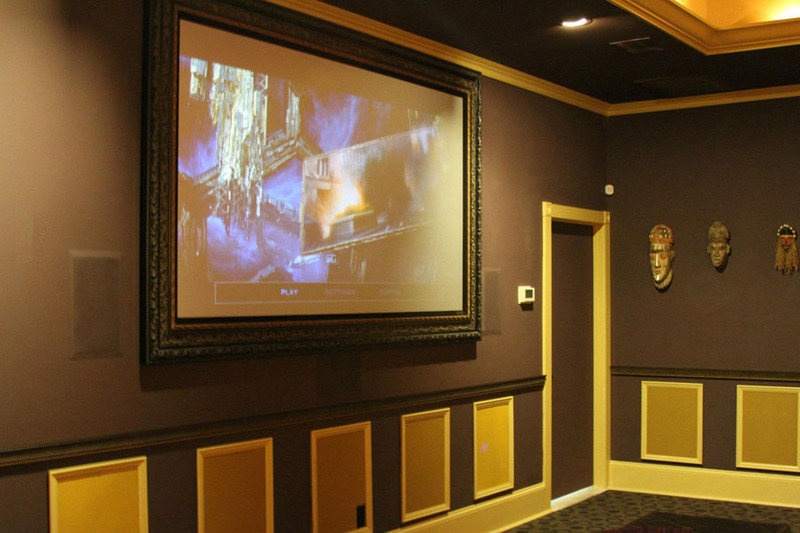 The score is kept by two large digital video replay scoreboards.